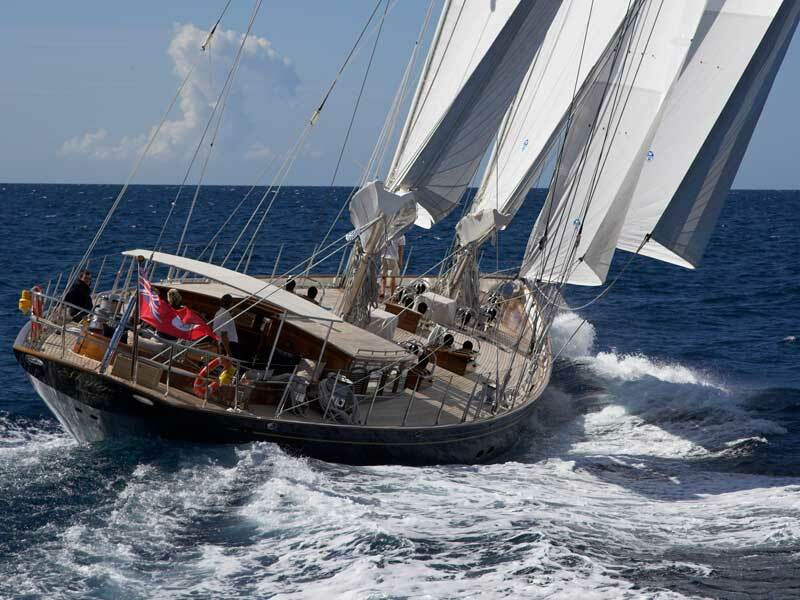 Luxury schooner THIS IS US (ex SKYLGE) was delivered in 2006 by the large sailing yacht builder Holland Jachtbouw and received an extensive refit in 2013. 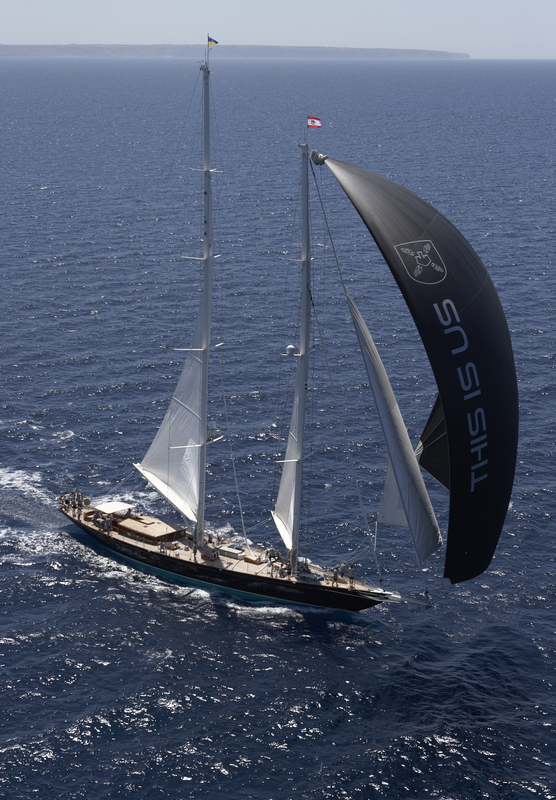 THIS IS US is 42.98 m and designed in traditional style with a lightweight, performance-orientation. 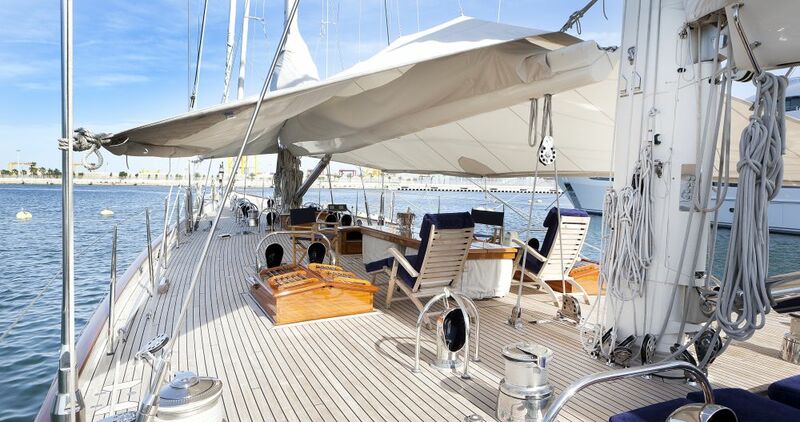 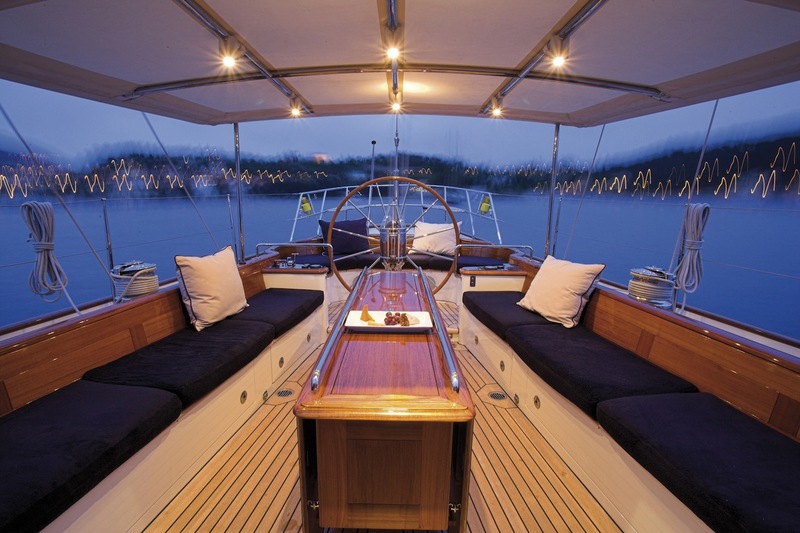 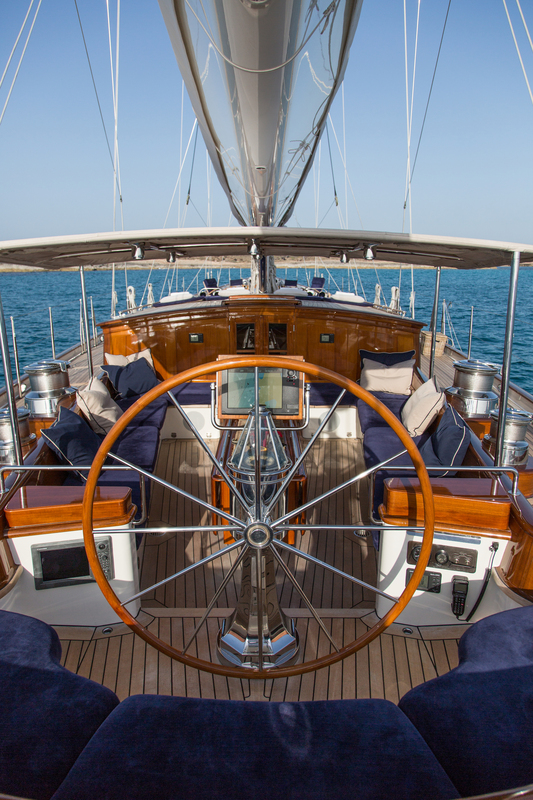 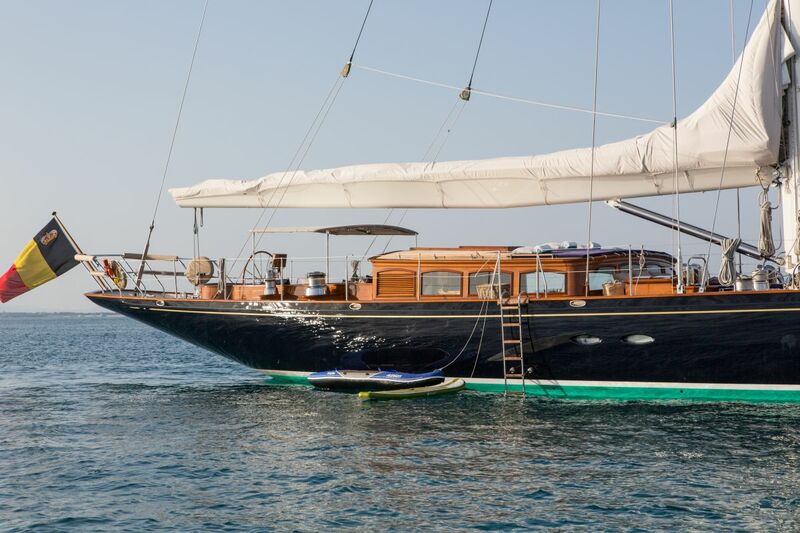 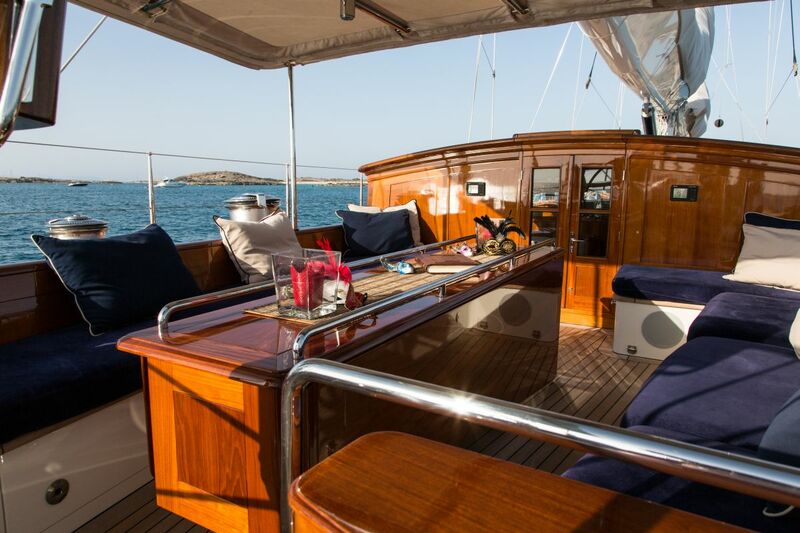 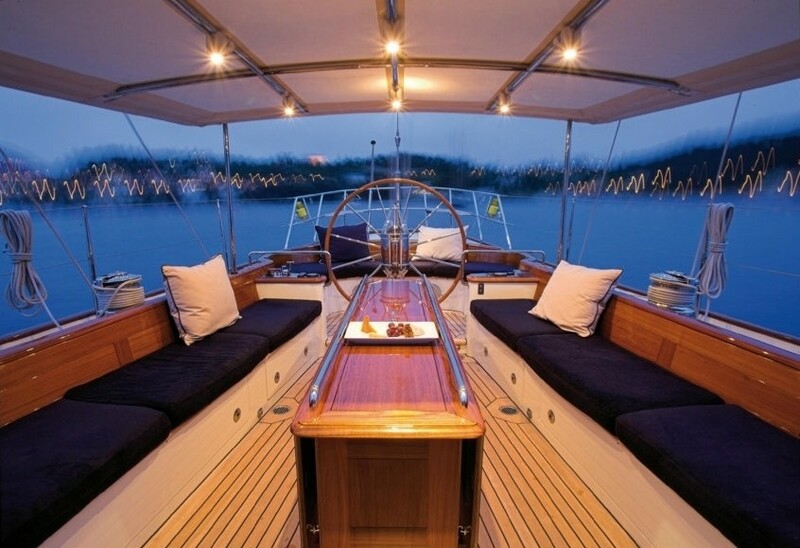 This striking sailboat is ideal for either regattas or relaxing family charters and will be available for charter in the Caribbean and Mediterranean. 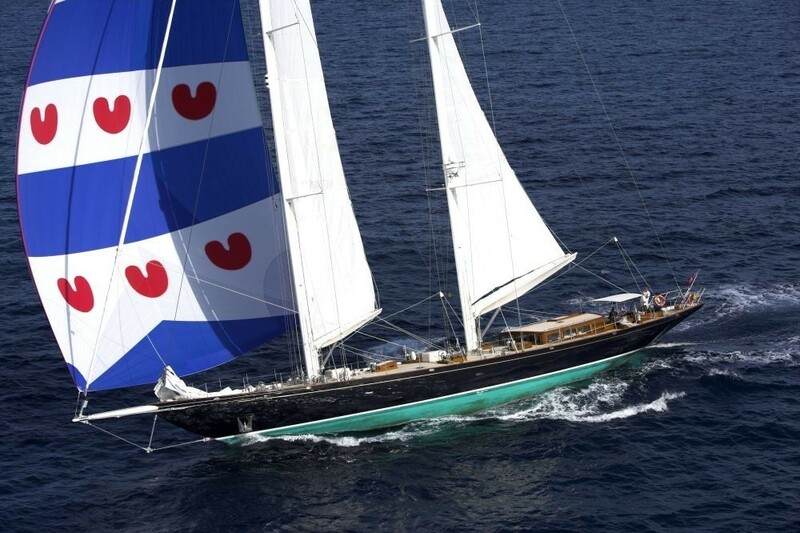 Sailing yacht THIS IS US (ex SKYLGE), which is the Frisian word for the Dutch island of Terschelling was built to MCA standards and has an ideal layout for chartering, with an owners’ stateroom, VIP suite, two guest cabins and lavish amounts of deck space. 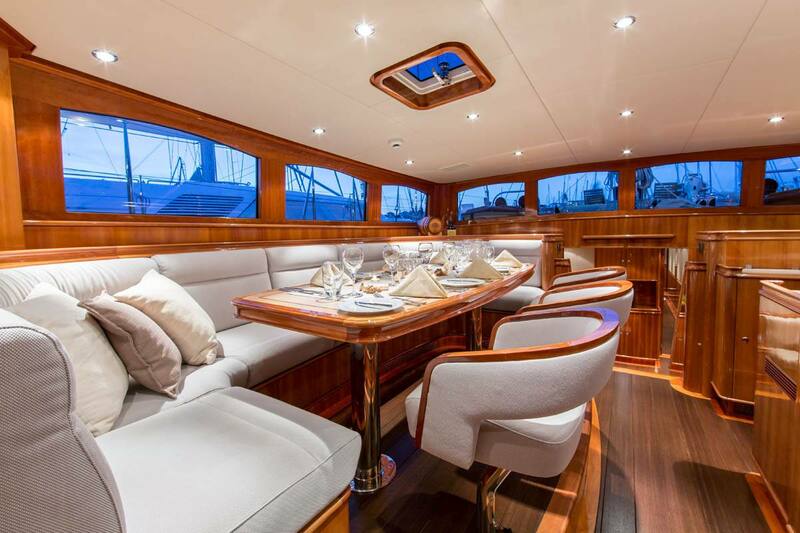 Built in aluminum to a design by André Hoek, THIS IS US has slim low-freeboard lines, long overhangs and a modest pilothouse. 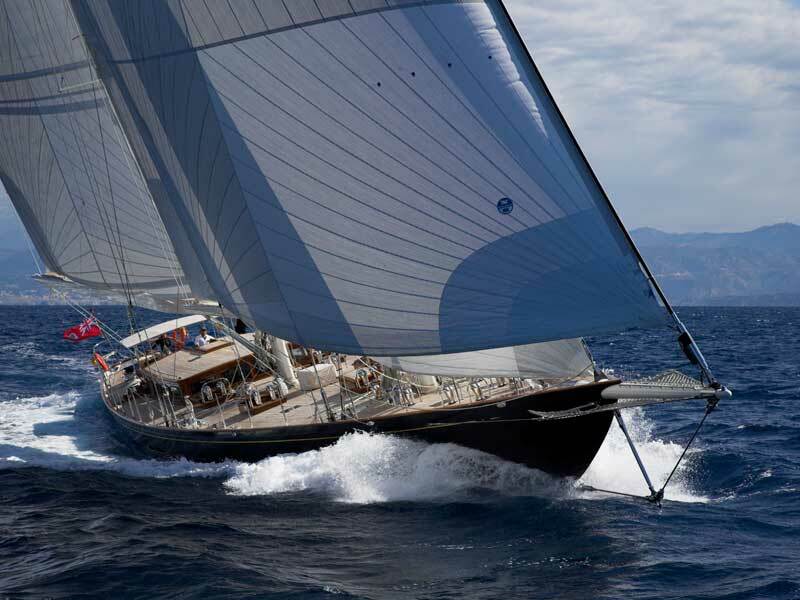 Her rig follows the trend for high-aspect mainsails, well roached foresails tops, and a clean deck, while her lifting keel offers access to shallower waters. 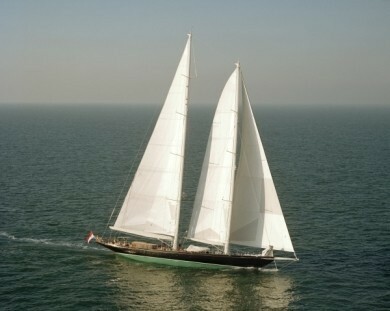 Holland Jachtbouw launched the 141 ft schooner THIS IS US (ex SKYLGE) in late 2005. 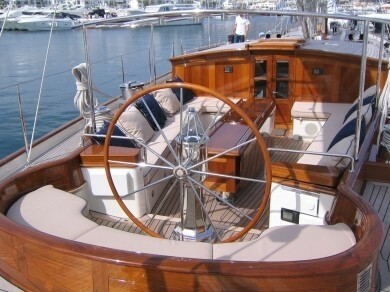 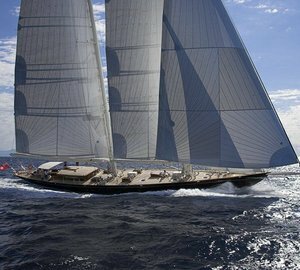 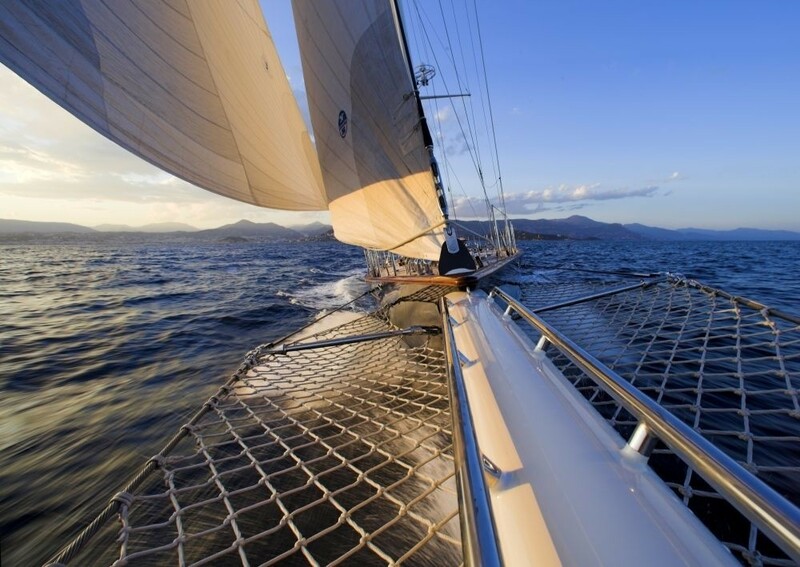 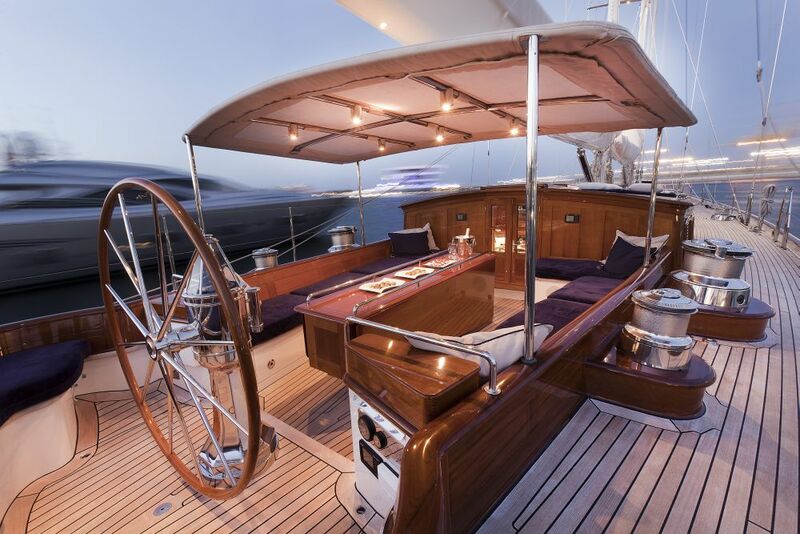 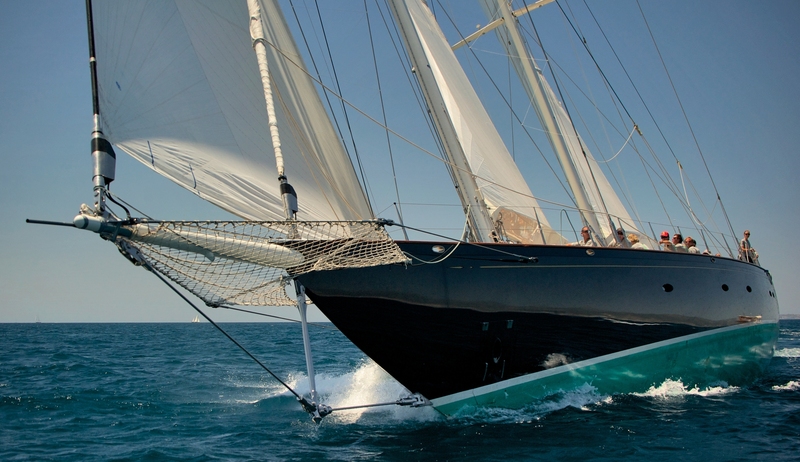 She has a carbon mast and sophisticated rigging fitted to this lightweight, high-performance yacht. 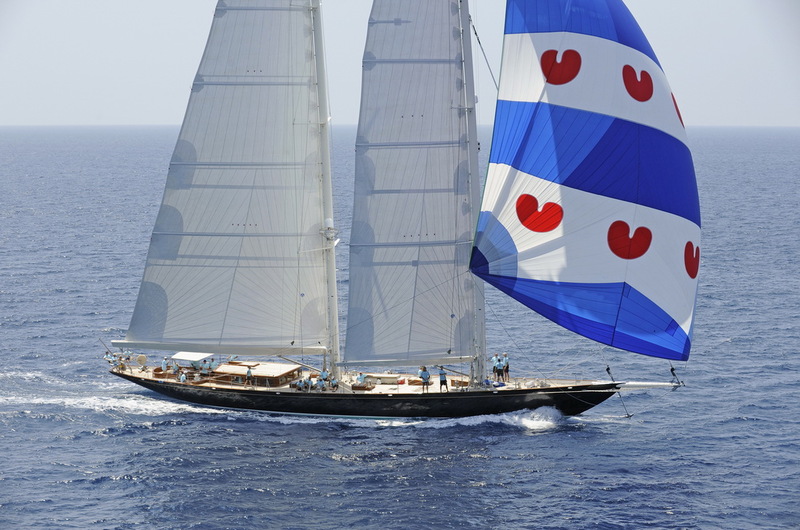 THIS IS US, which is the Frisian word for the Dutch island of Terschelling, is sure to be a firm favourite on the regatta circuit. 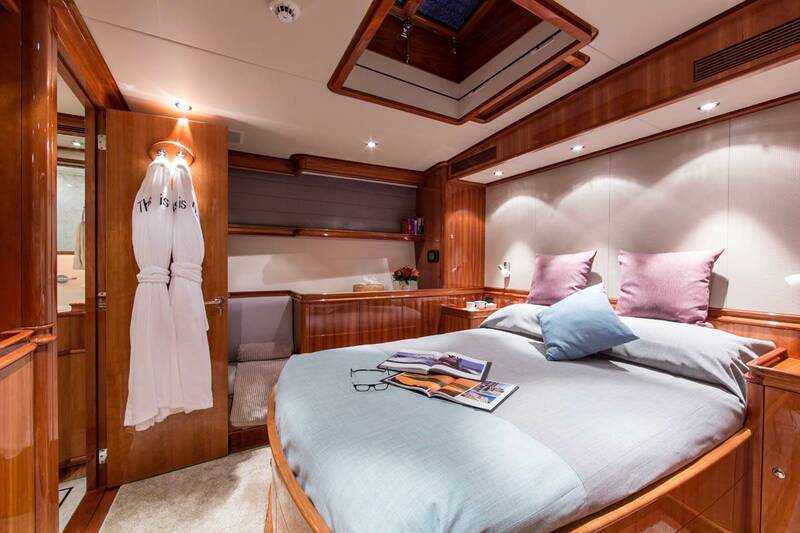 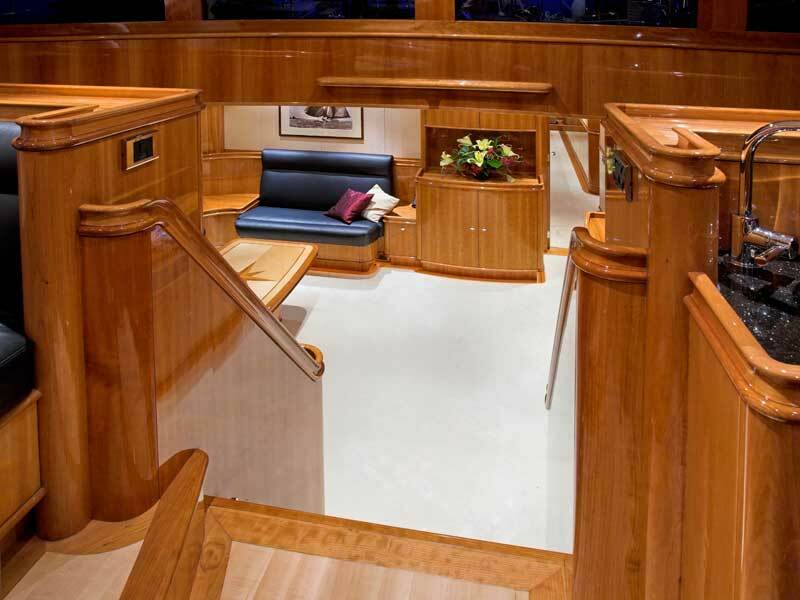 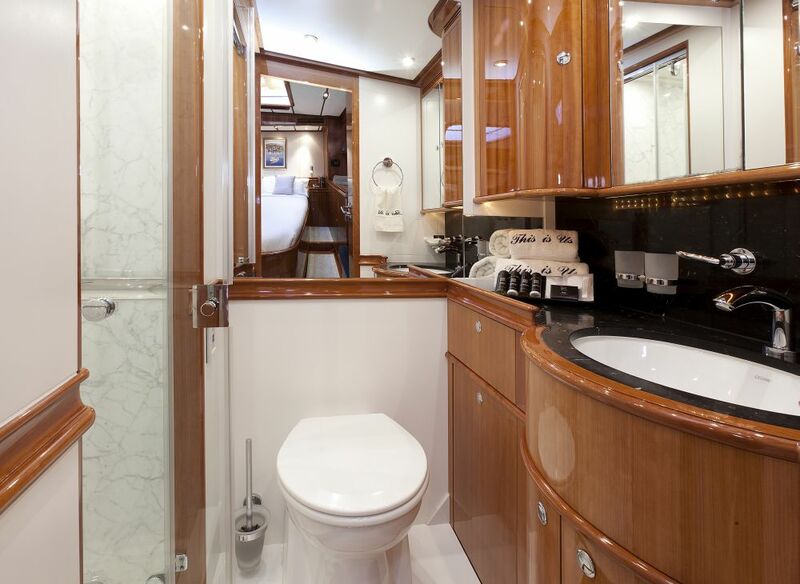 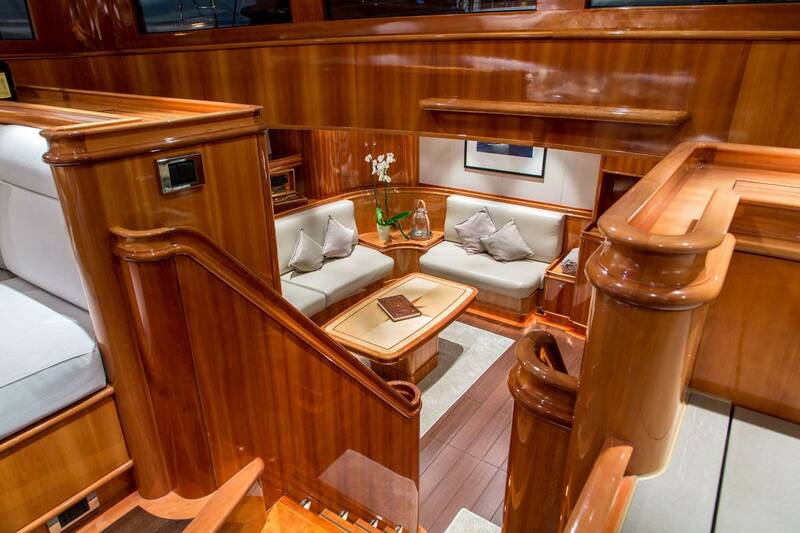 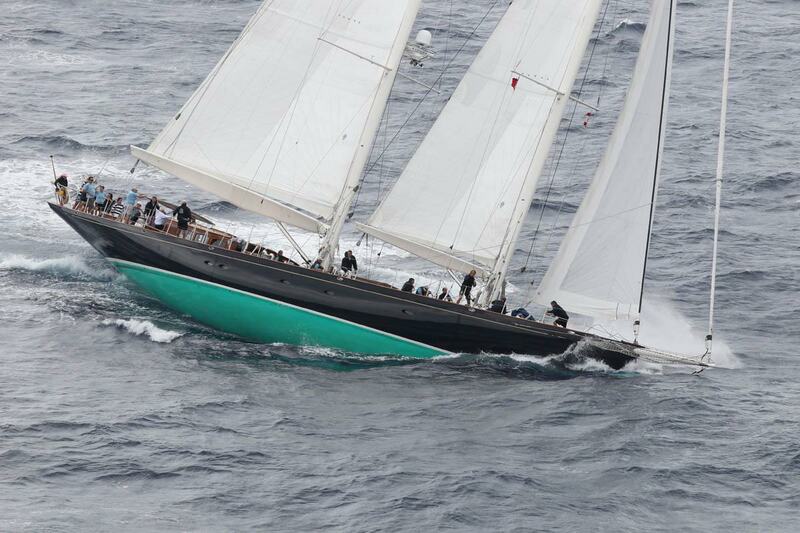 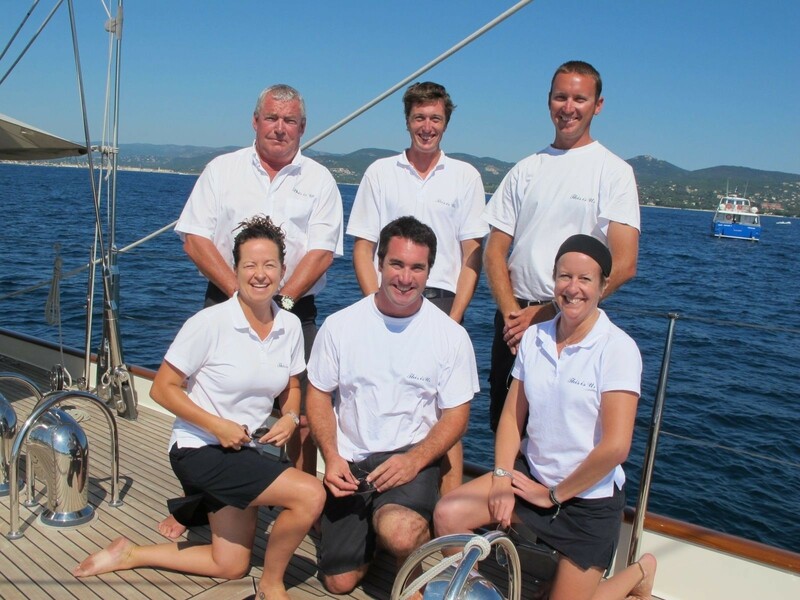 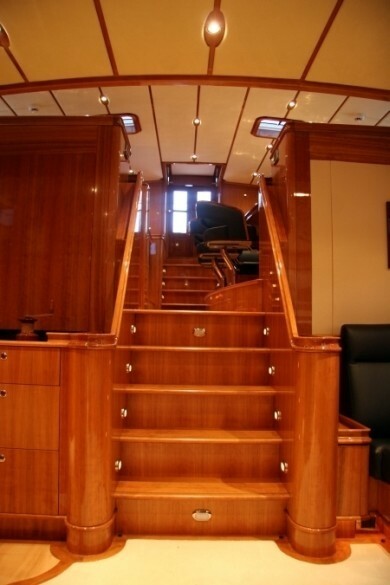 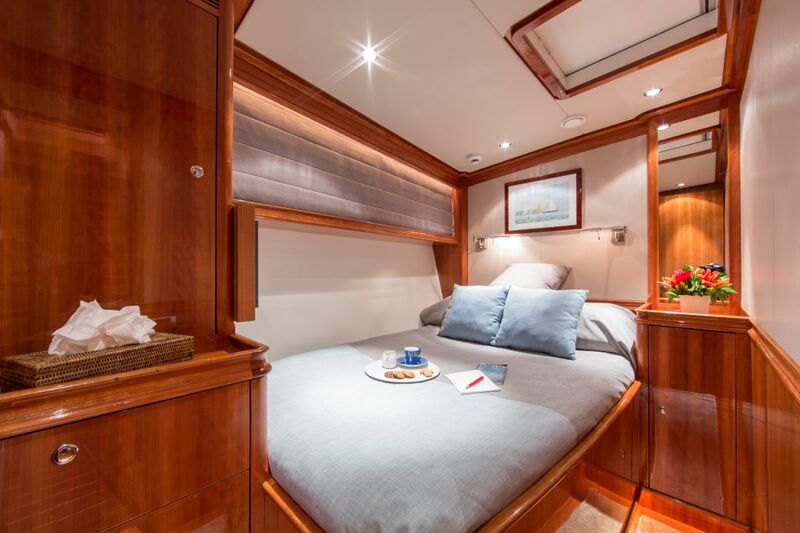 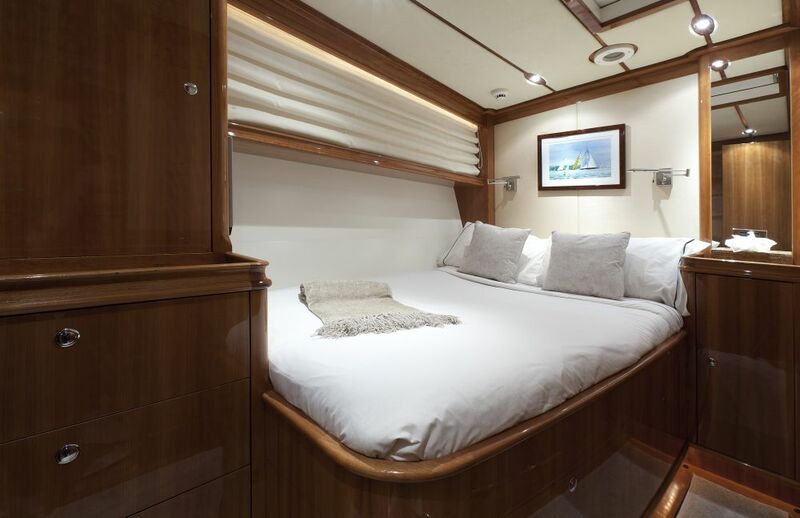 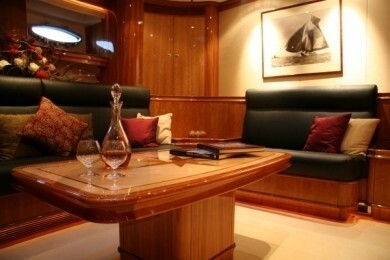 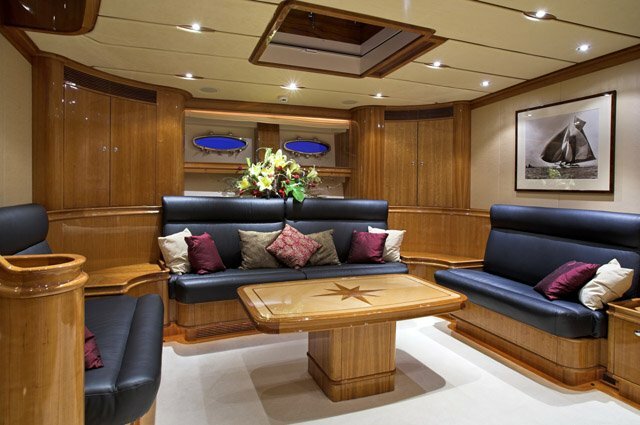 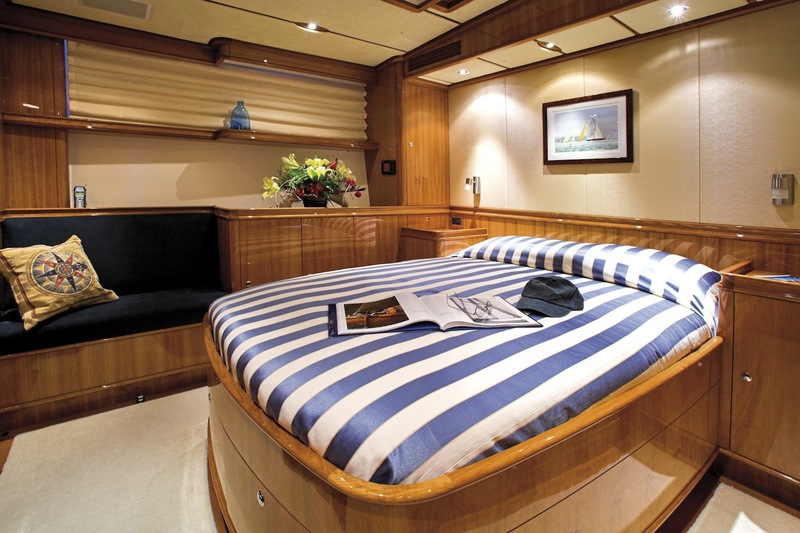 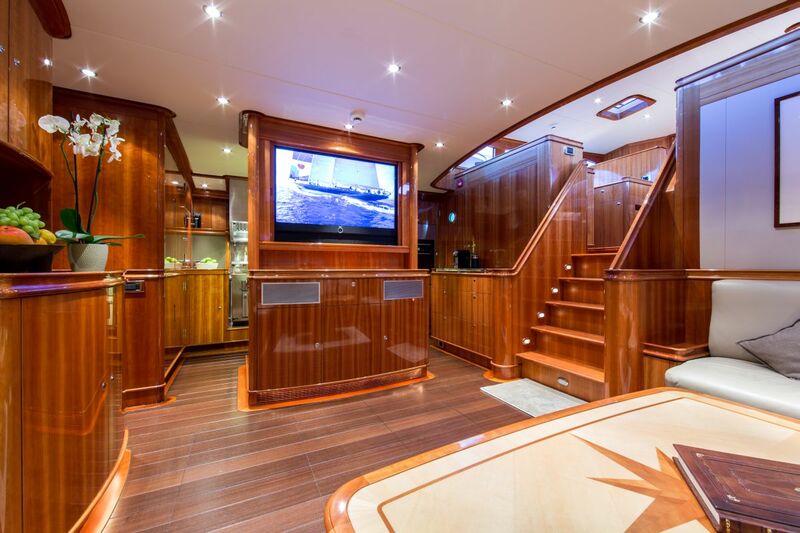 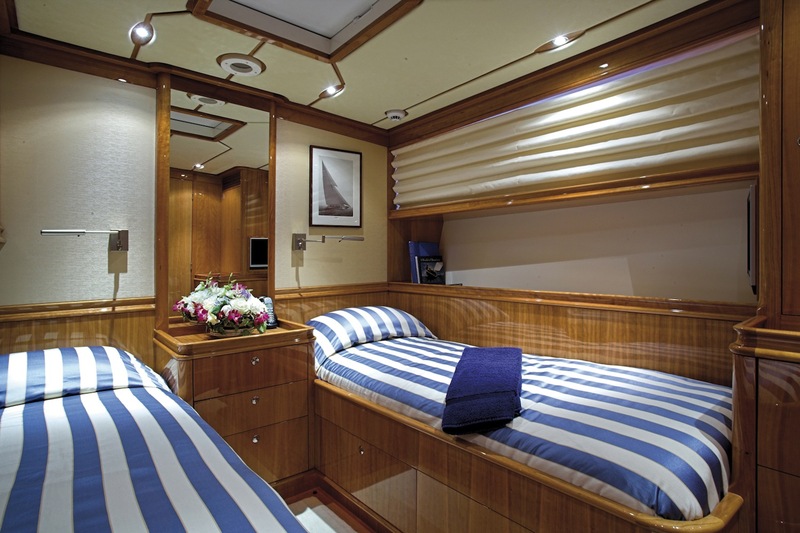 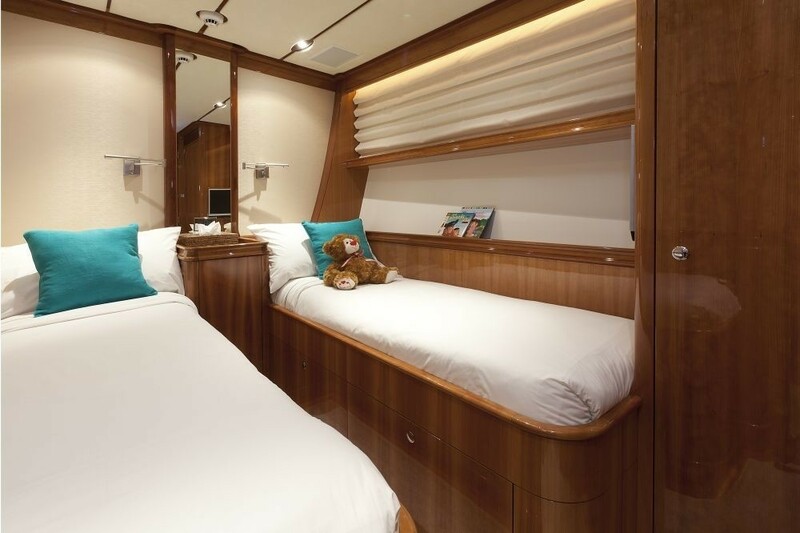 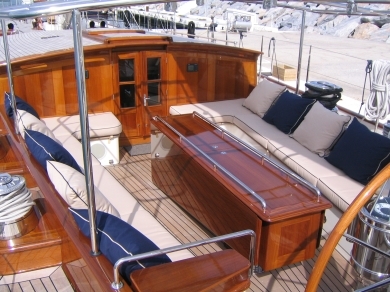 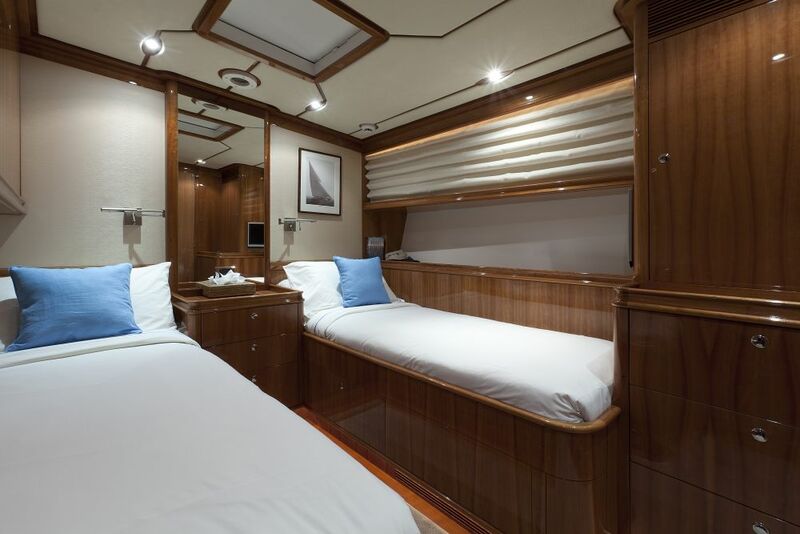 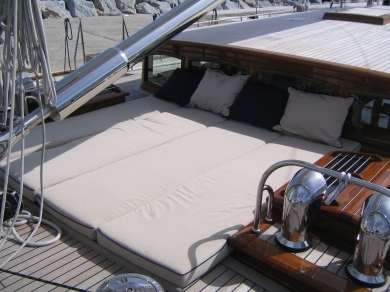 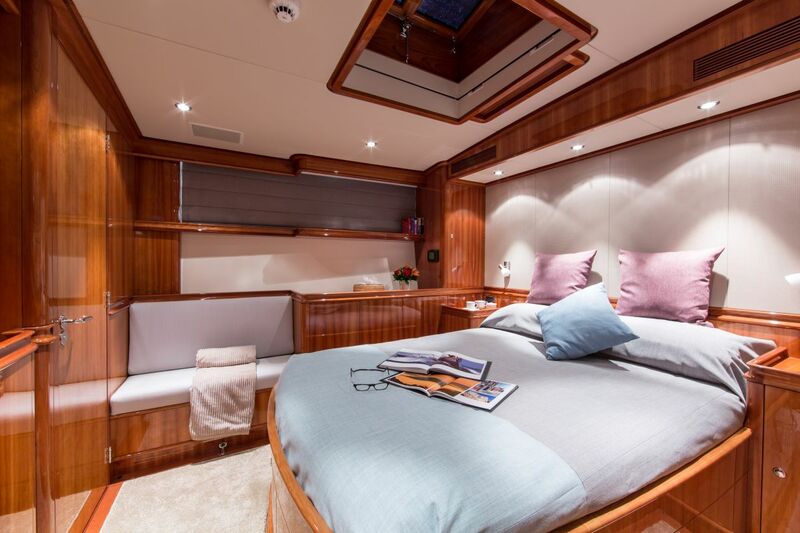 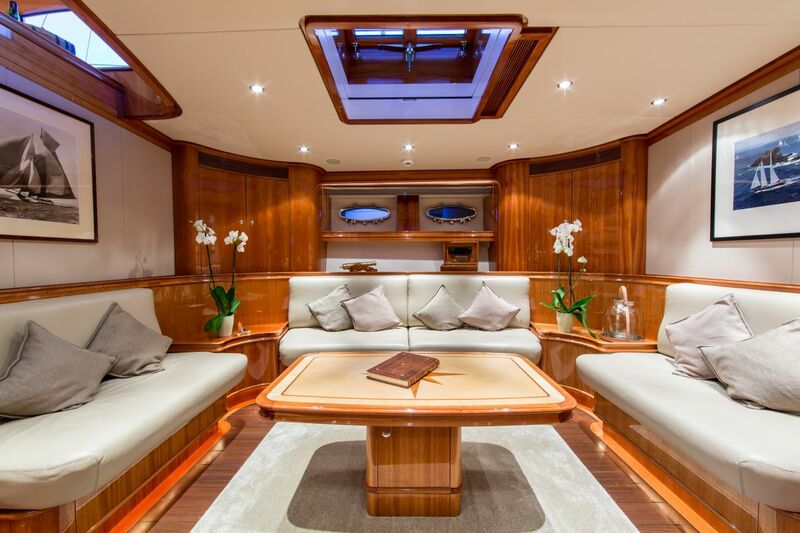 While being ideal for racing, the yacht has also been optimised for family cruises. 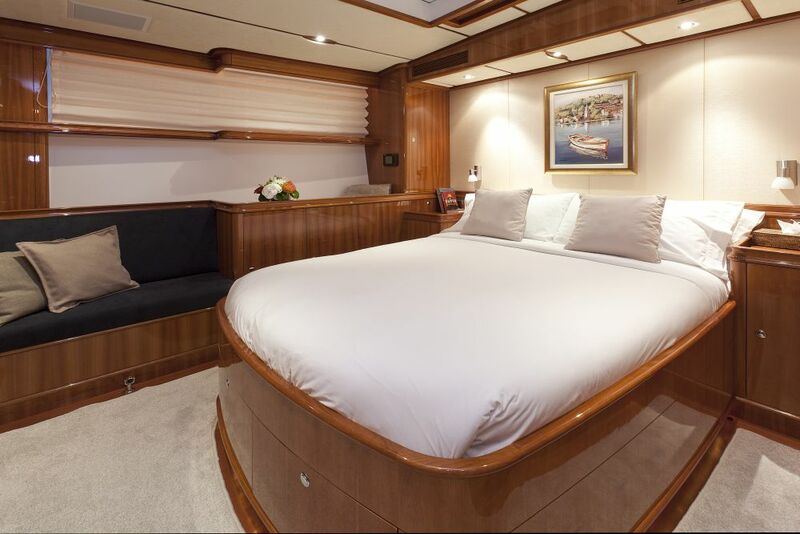 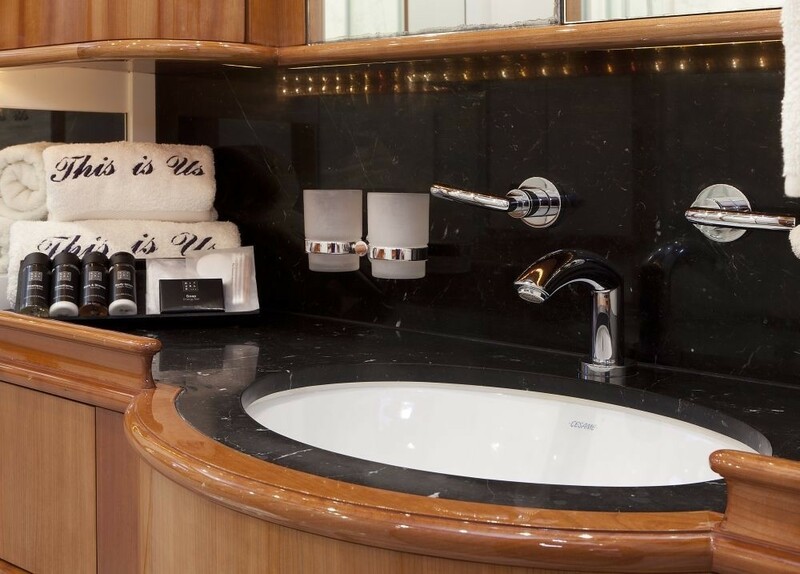 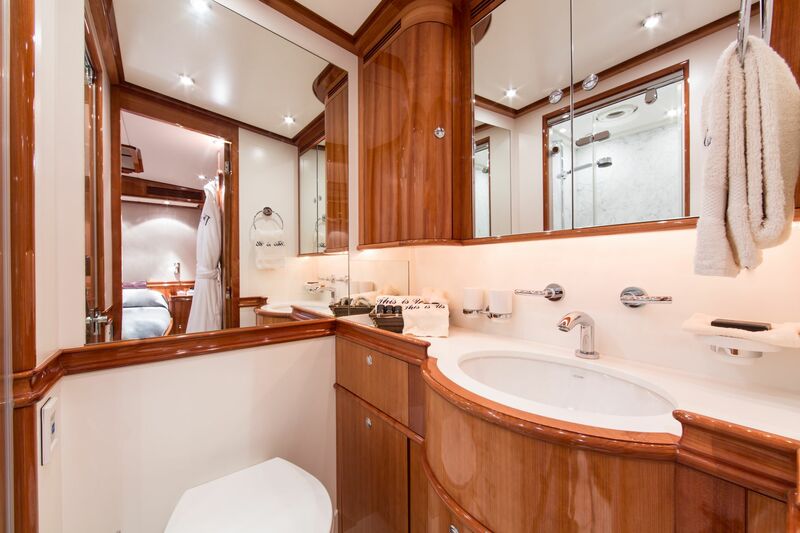 Built to MCA, THIS IS US has an ideal layout for chartering, with an owners’ stateroom, VIP suite, two guest cabins and generous amounts of deck space. 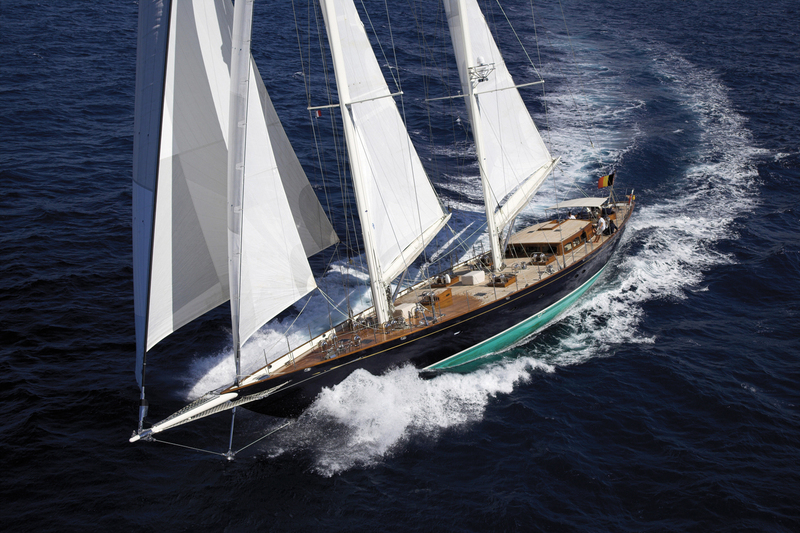 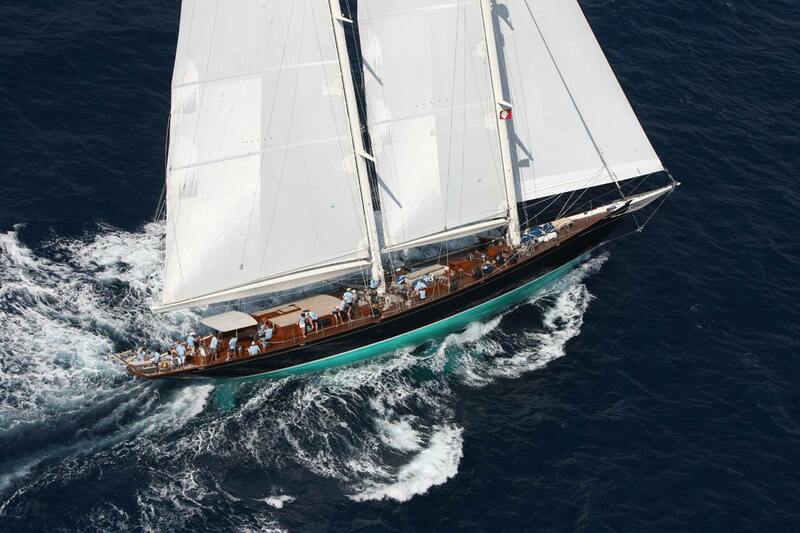 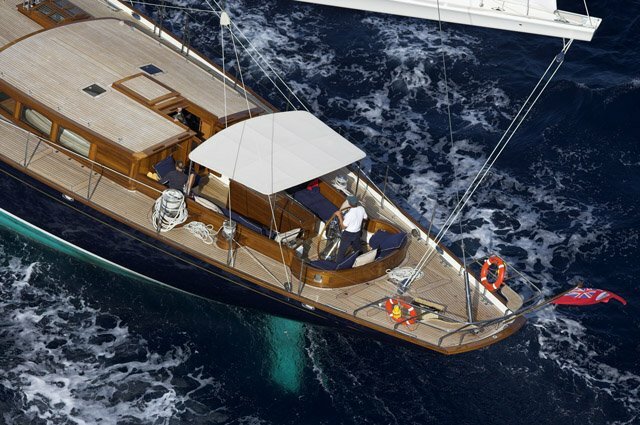 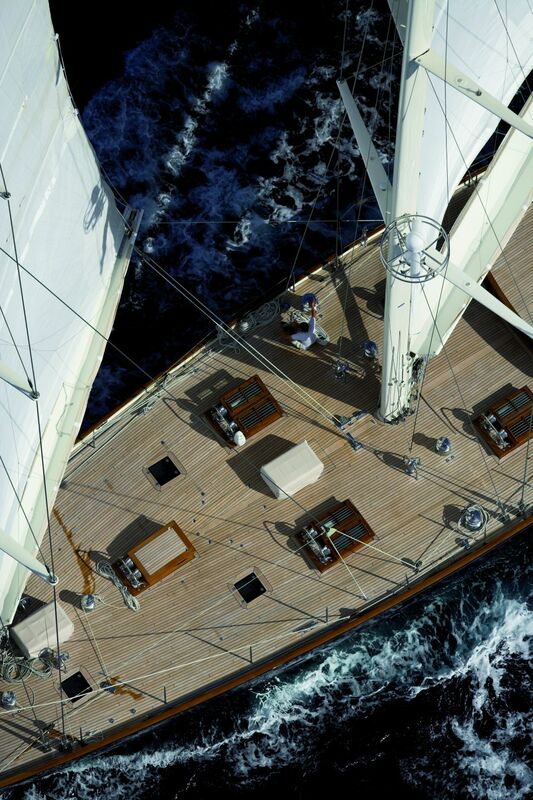 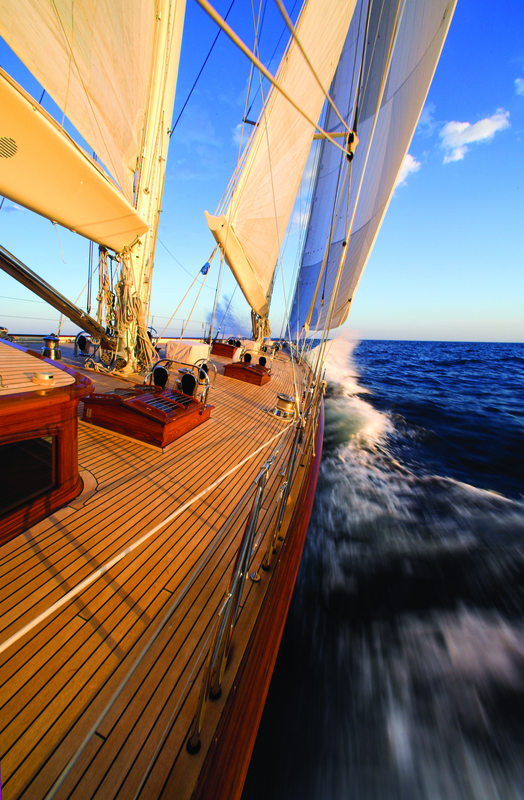 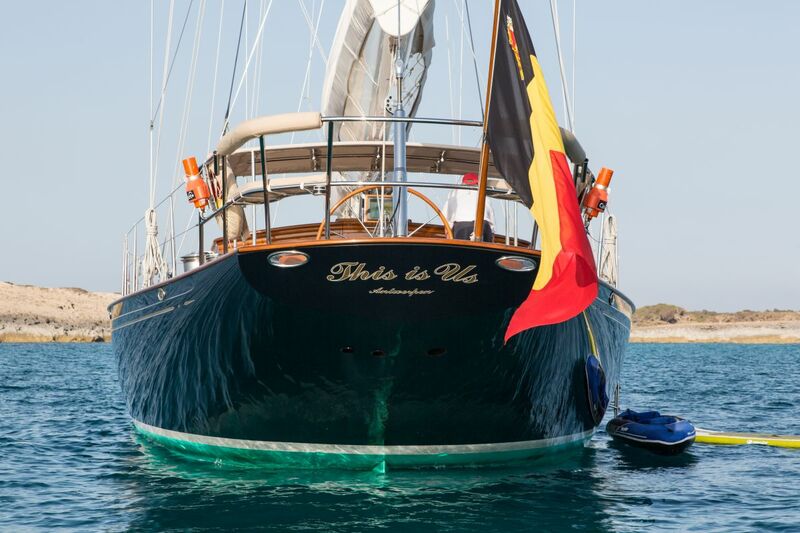 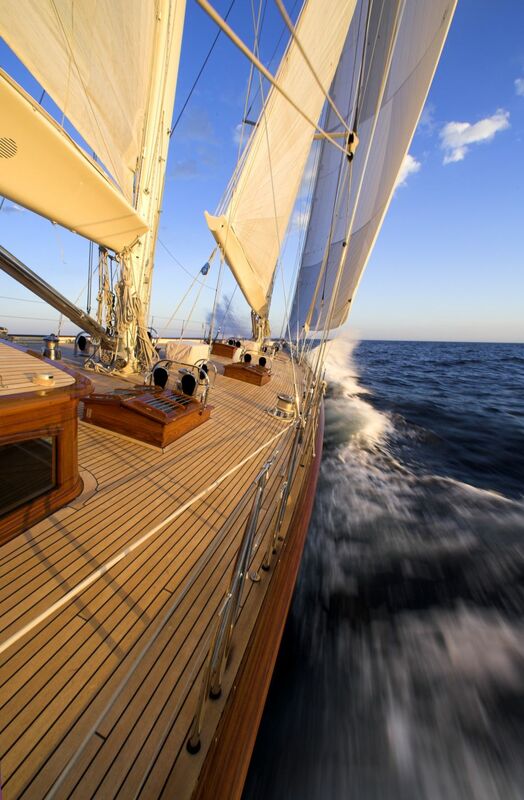 Designed by André Hoek, S/Y THIS IS US has slim low-freeboard lines, long overhangs and a modest pilothouse. 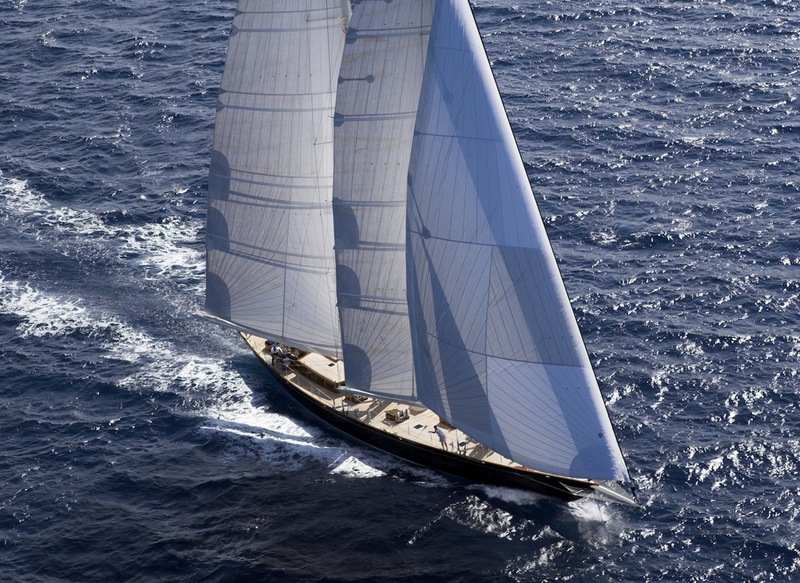 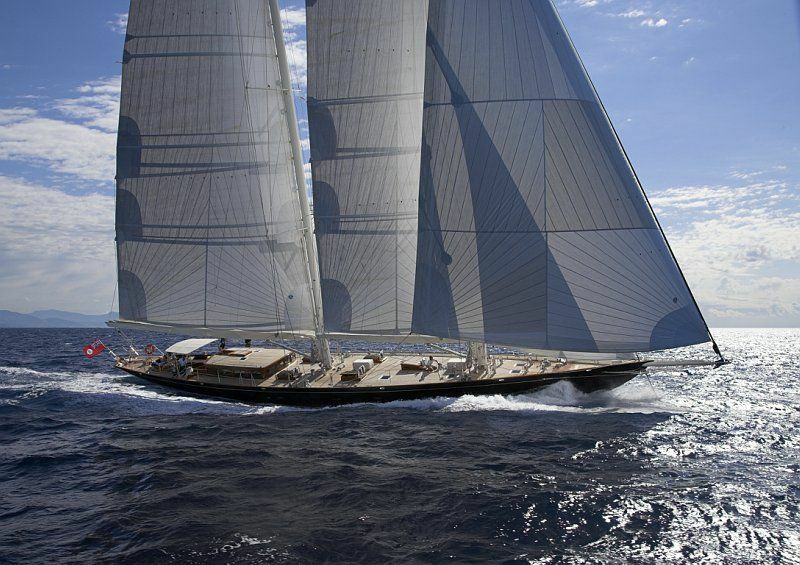 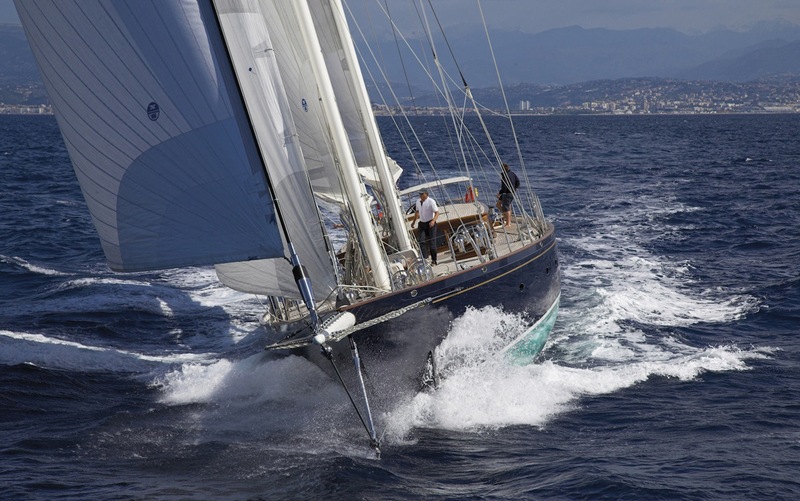 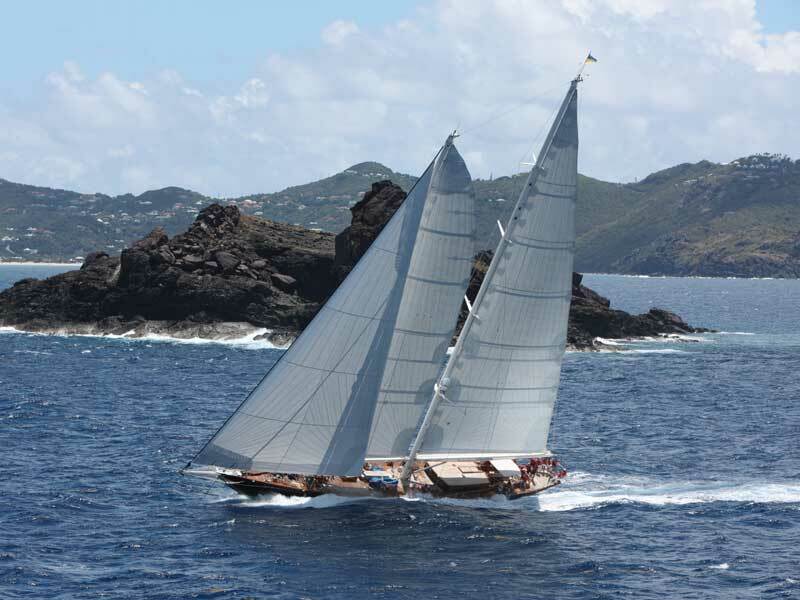 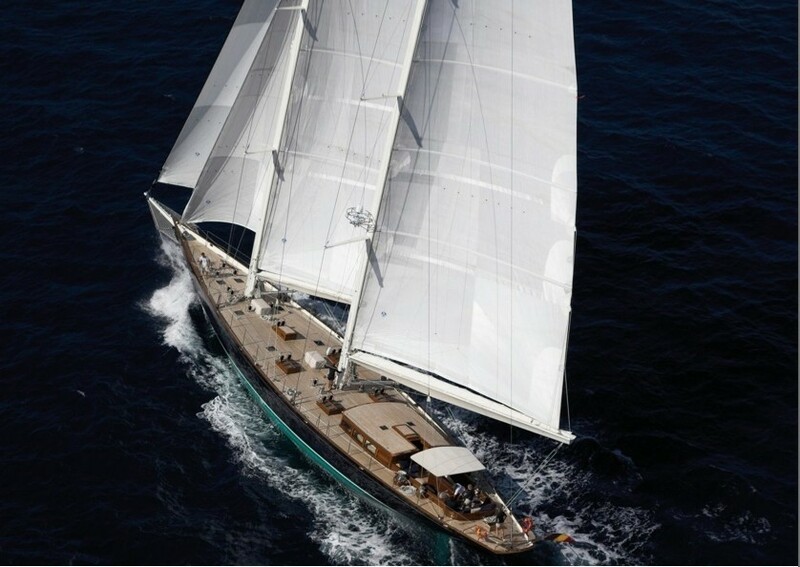 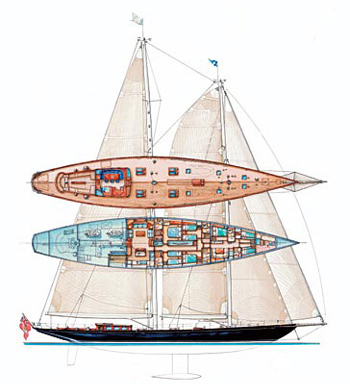 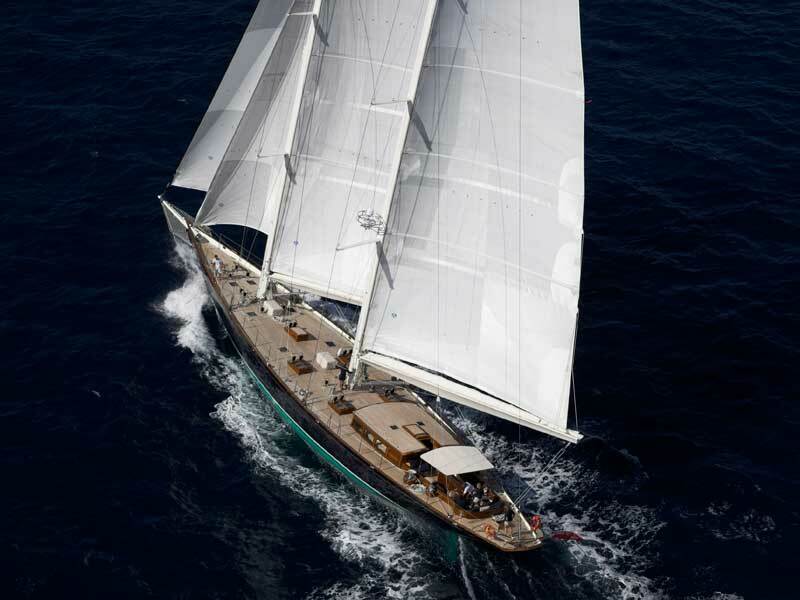 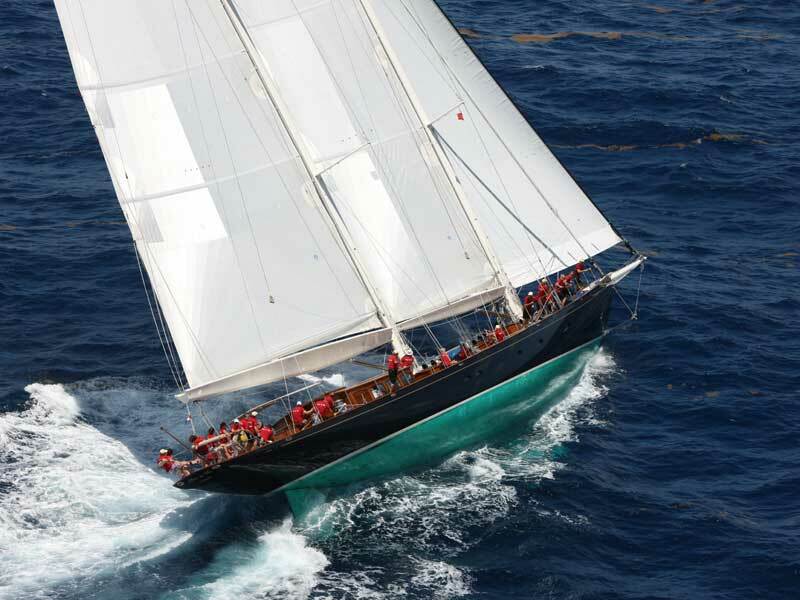 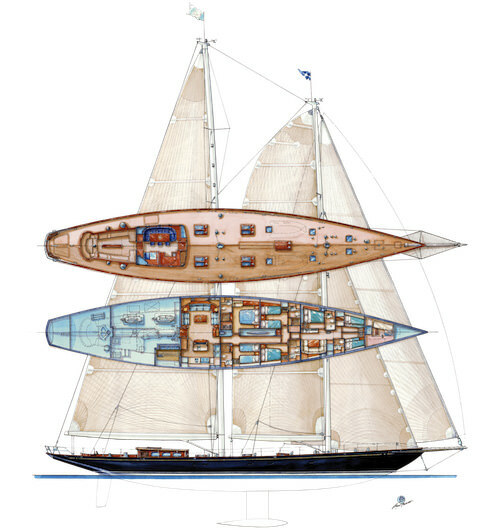 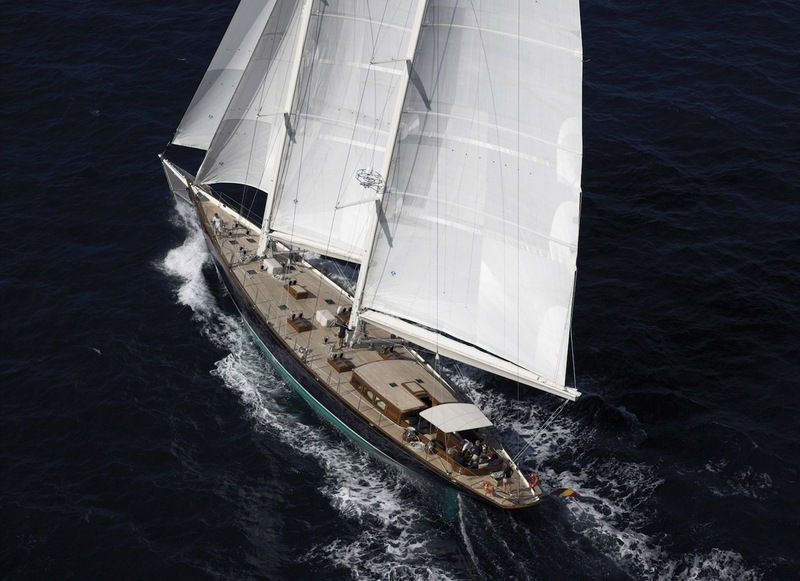 Her rig follows the trend for high-aspect mainsails and roached foresails, while a lifting keel offers access to shallow waters. 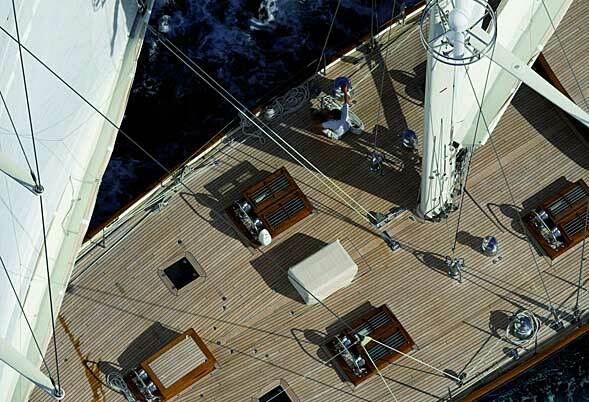 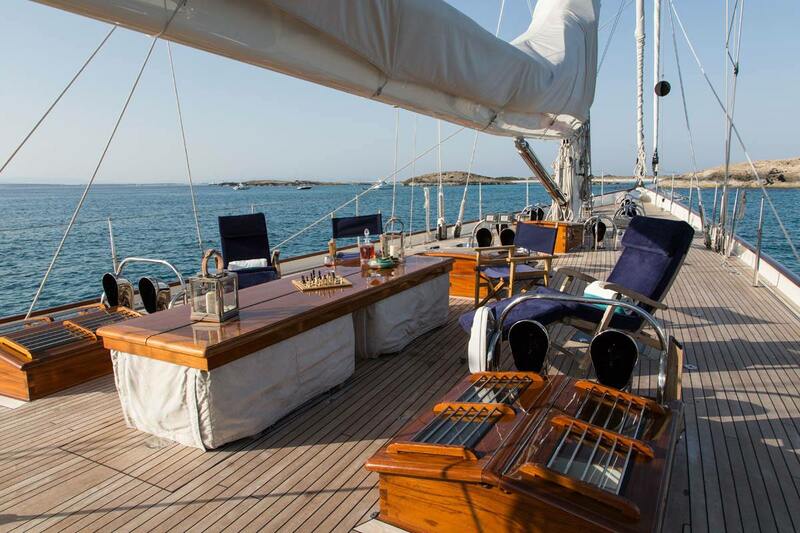 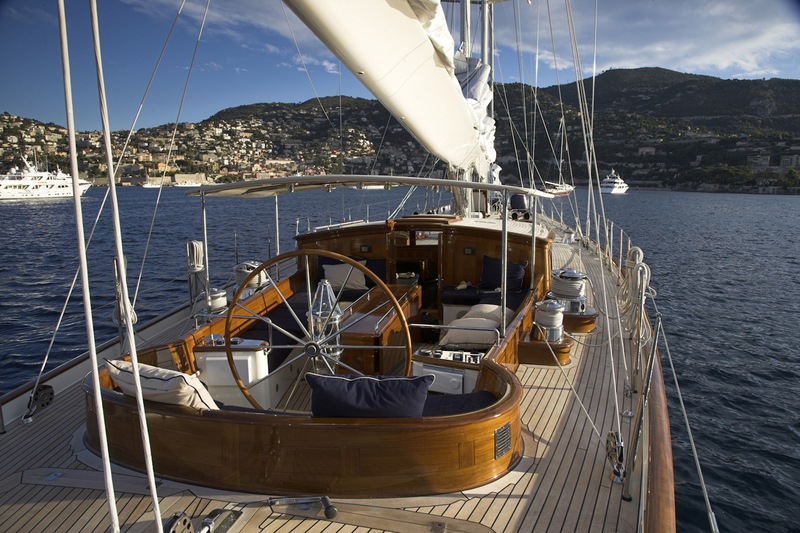 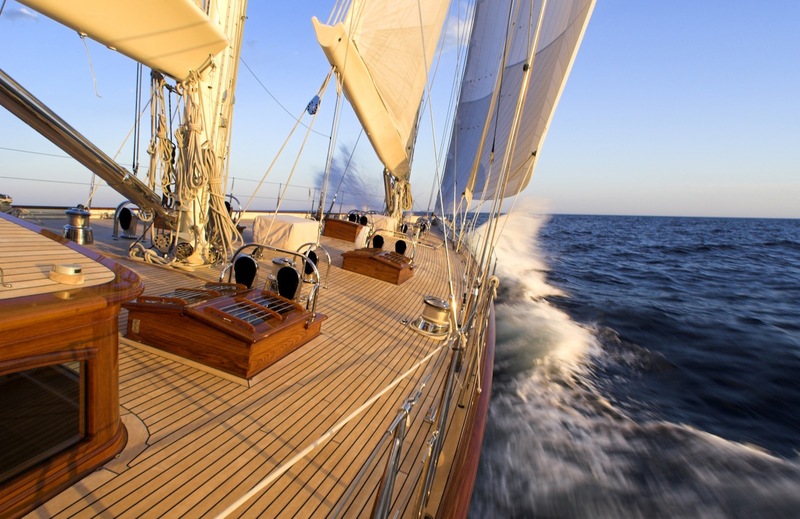 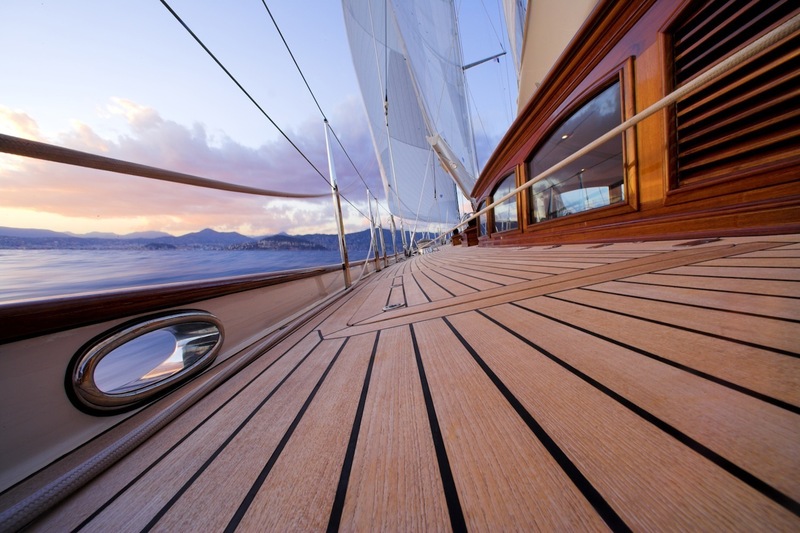 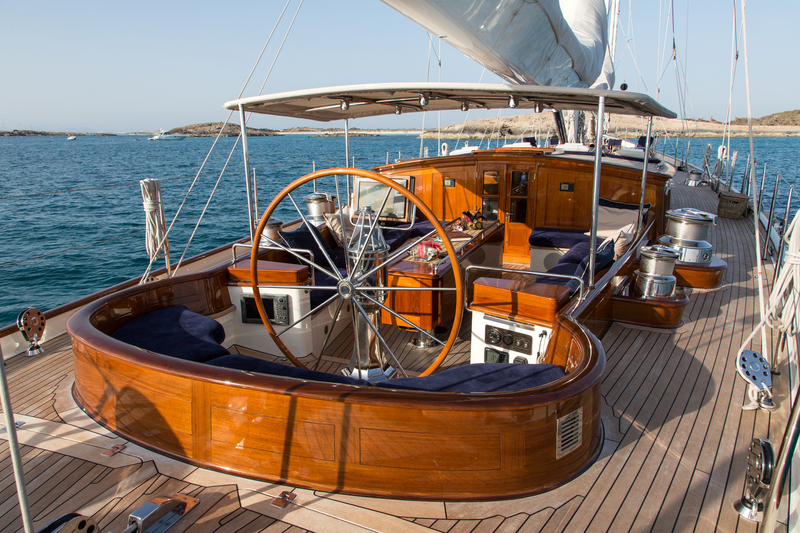 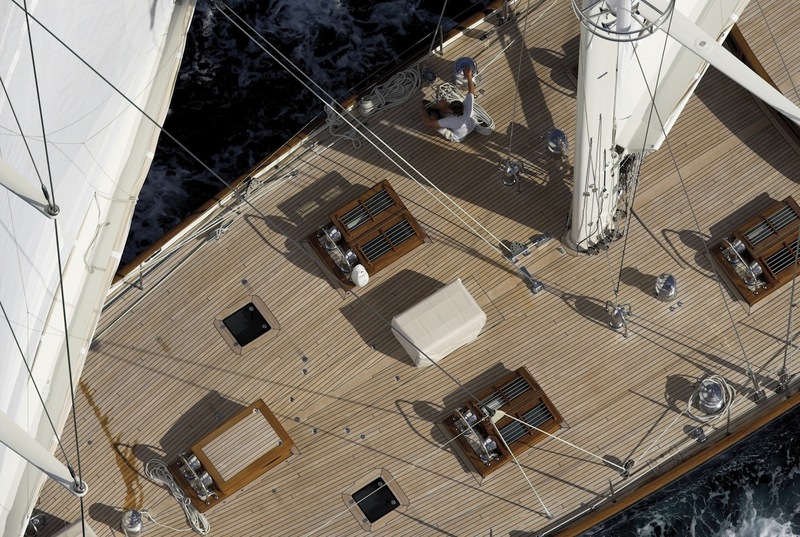 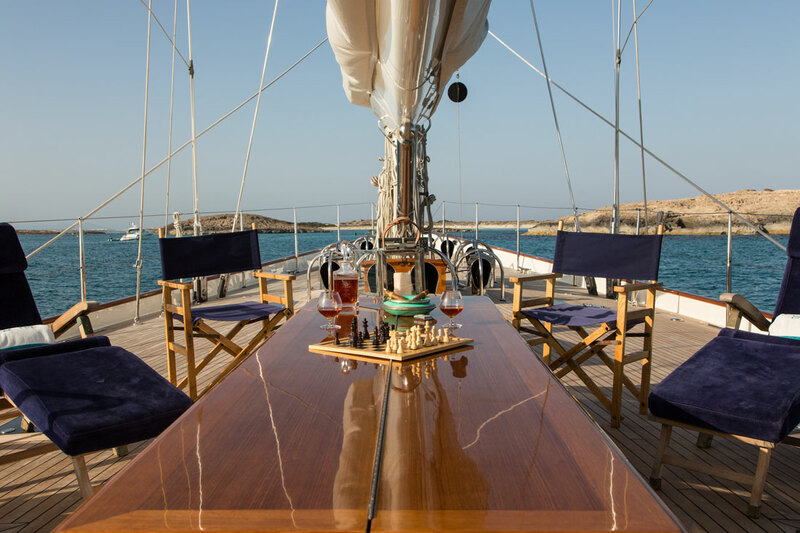 The 2013 refit of sailing yacht This Is Us included a complete repaint of her hull, masts, booms and rigging, maintenance of her keel, bulb and lifting keel box, full replacement of the teak deck and restoration of the varnish on all exterior and interior wood work. 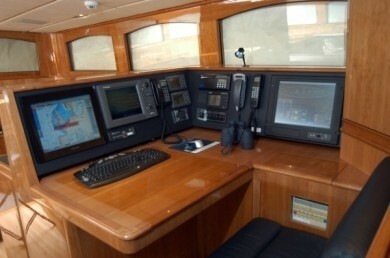 Her main engine, generator, water maker, hydraulic pumps, navigation and communication equipment were given a full service along with her winches, chiller units and safety equipment. 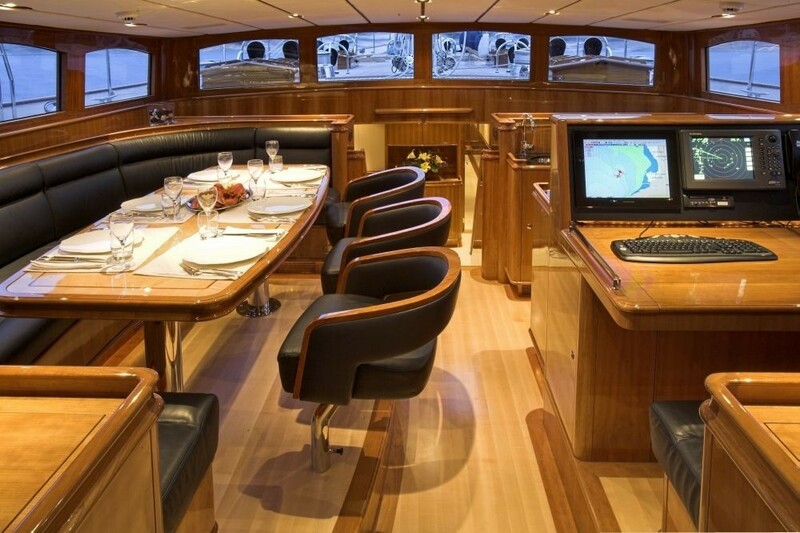 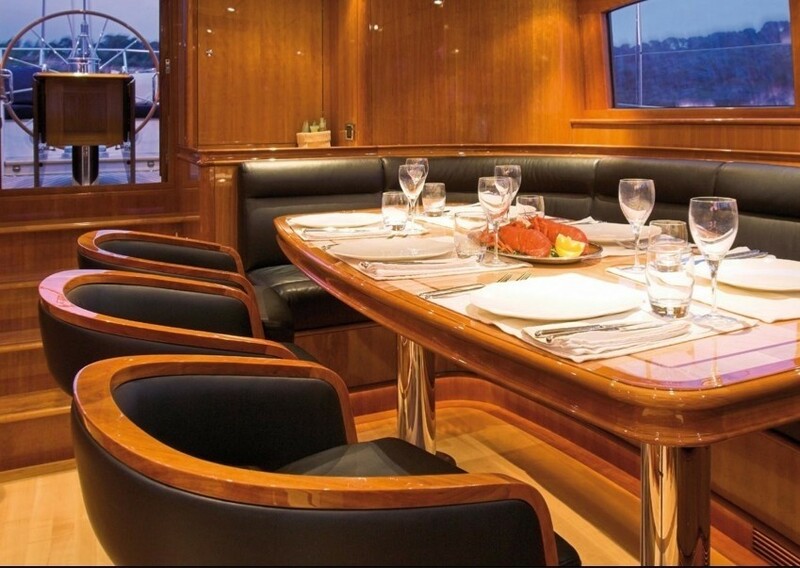 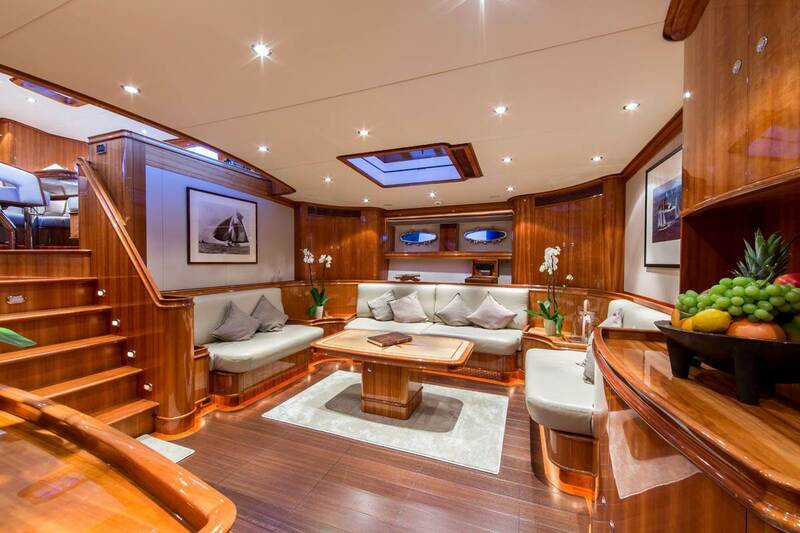 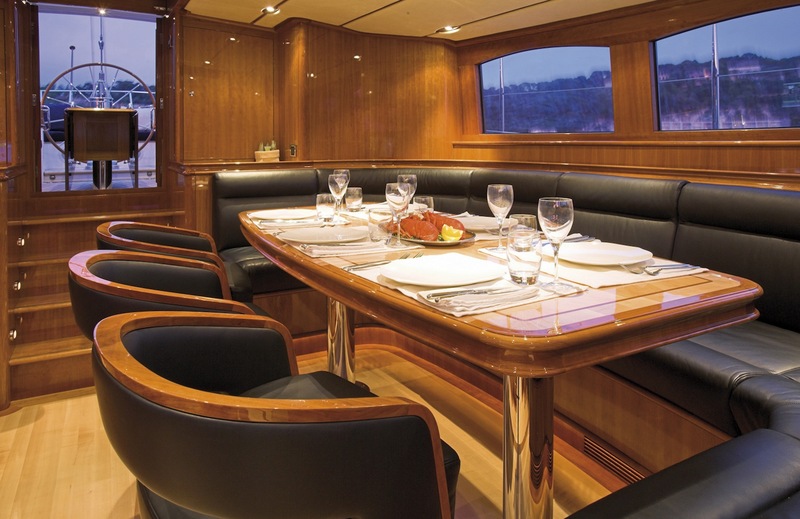 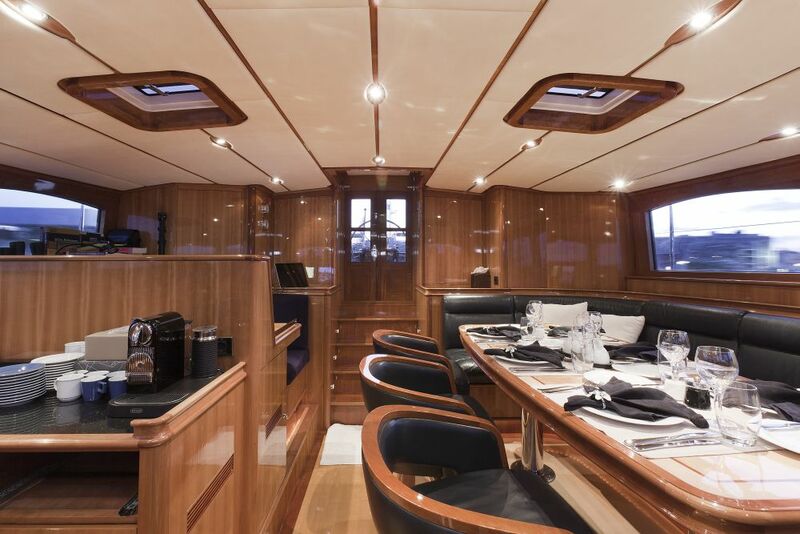 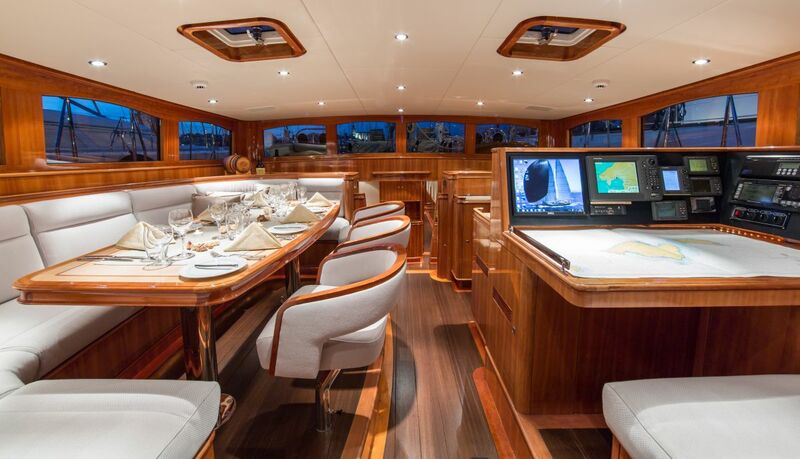 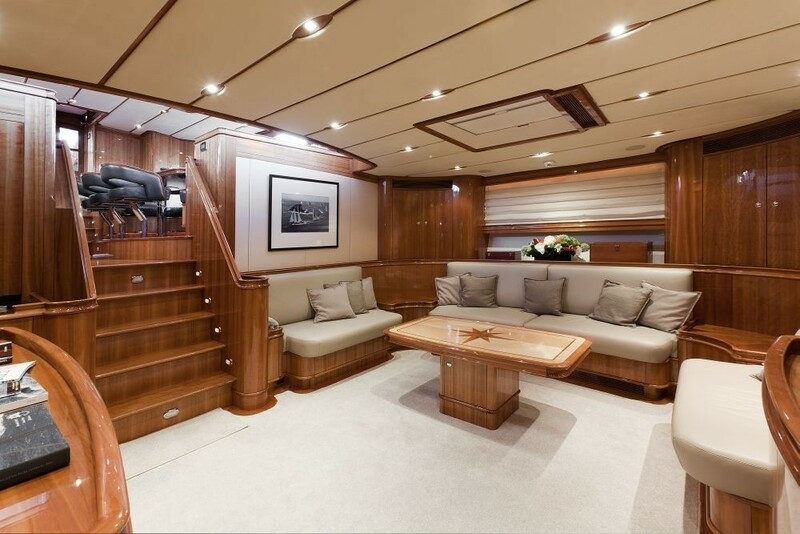 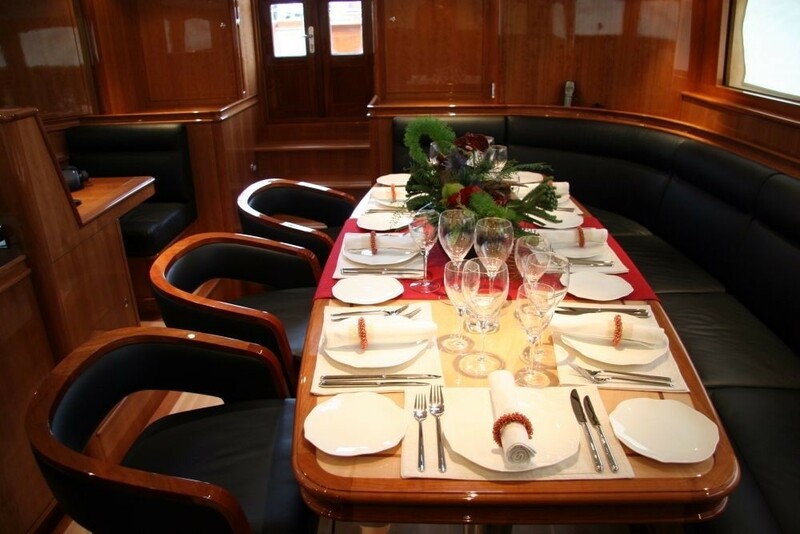 Interior includes: new flooring, lighting, wall and ceiling panels, new audio/visual, reupholstered seating and blinds and new stone in the galley, bar and bathrooms giving her a fresh and more modern look. 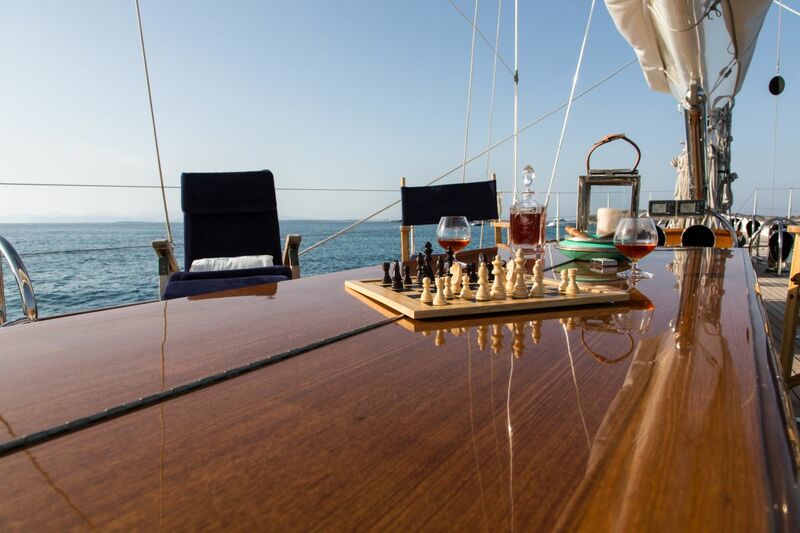 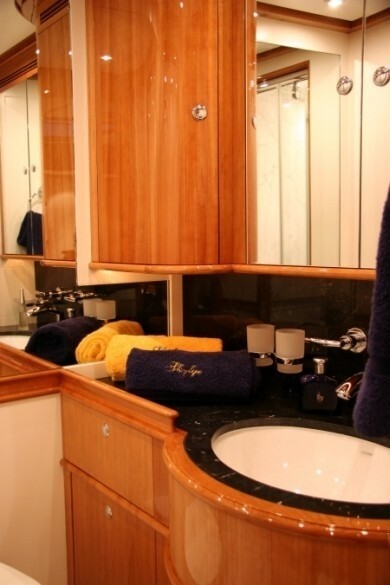 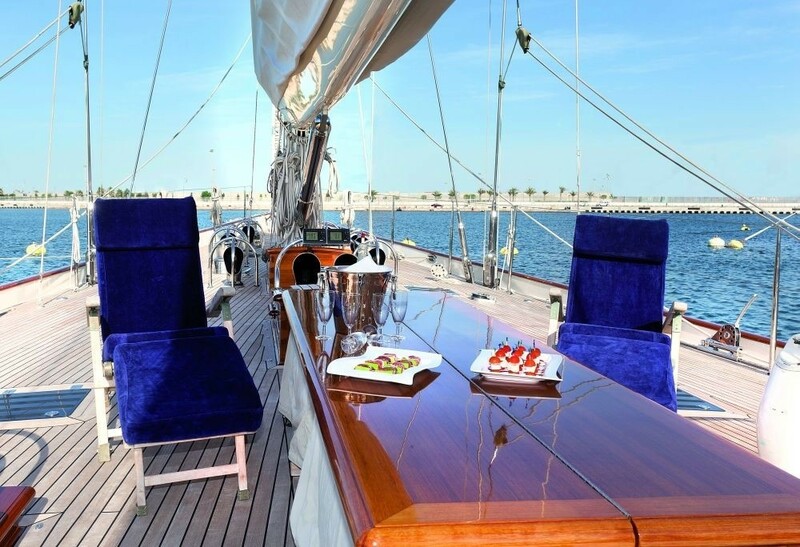 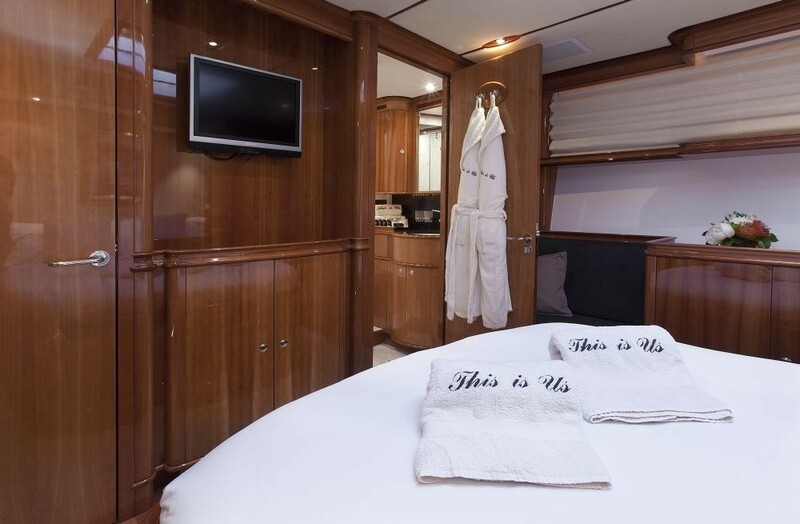 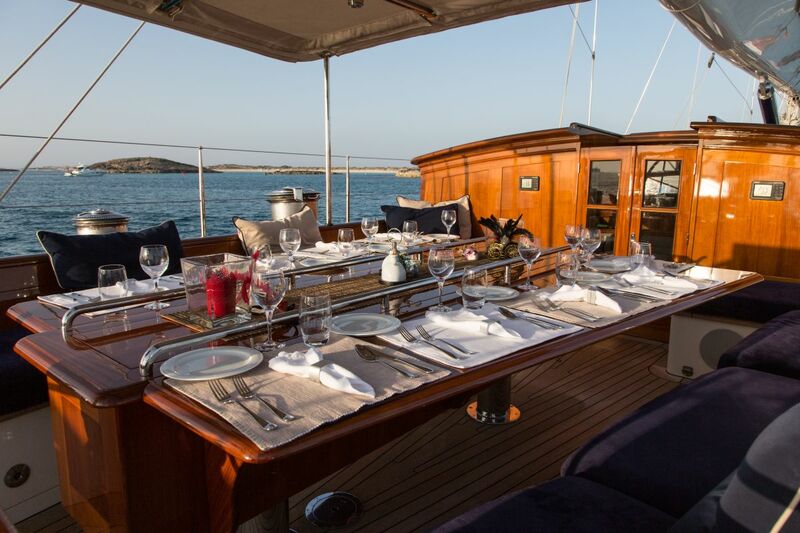 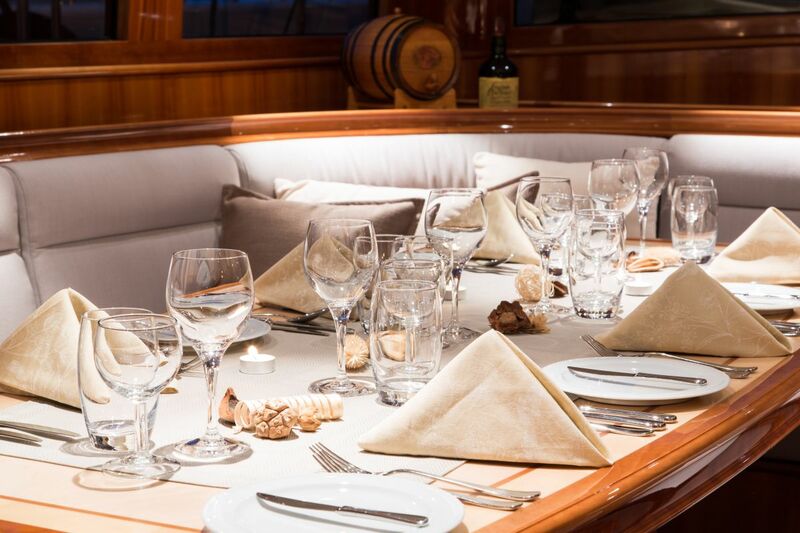 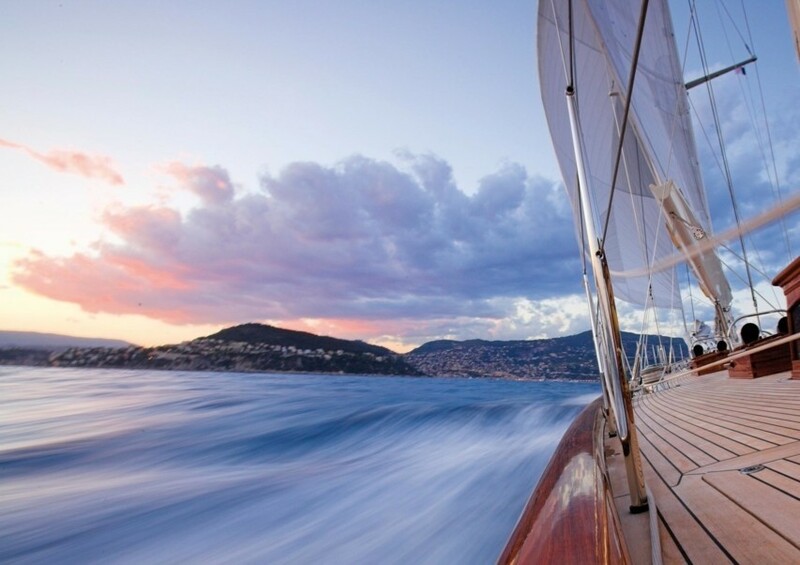 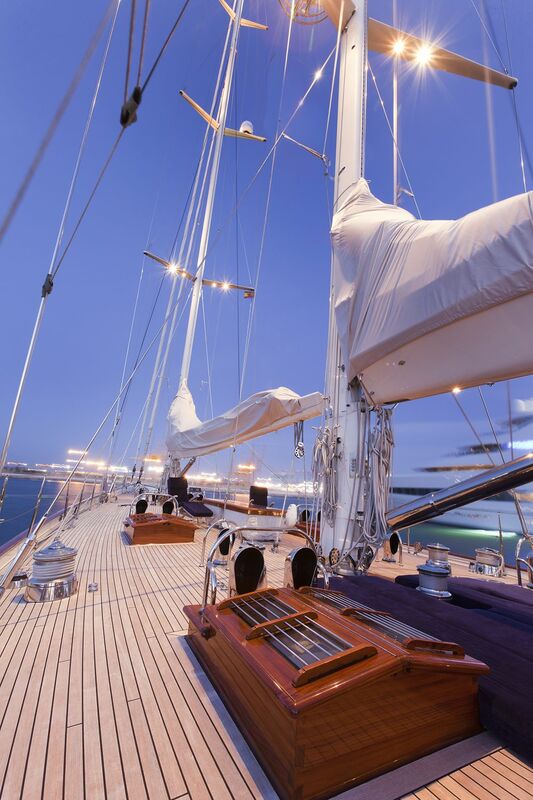 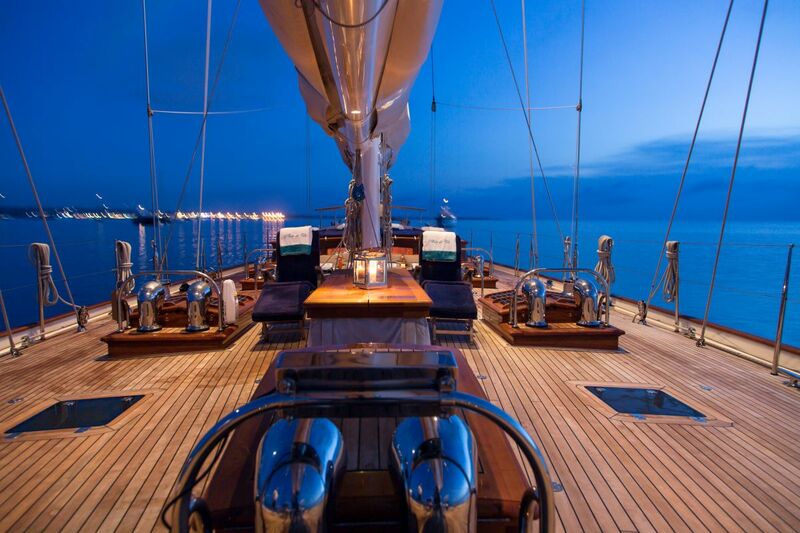 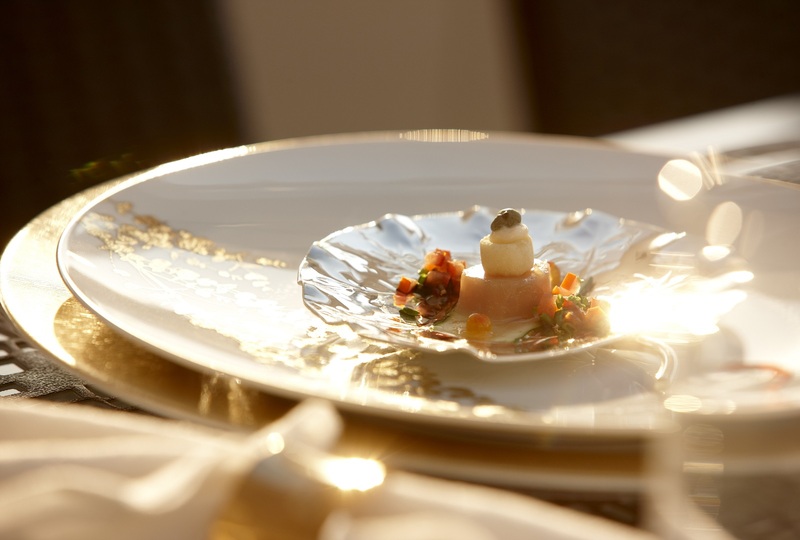 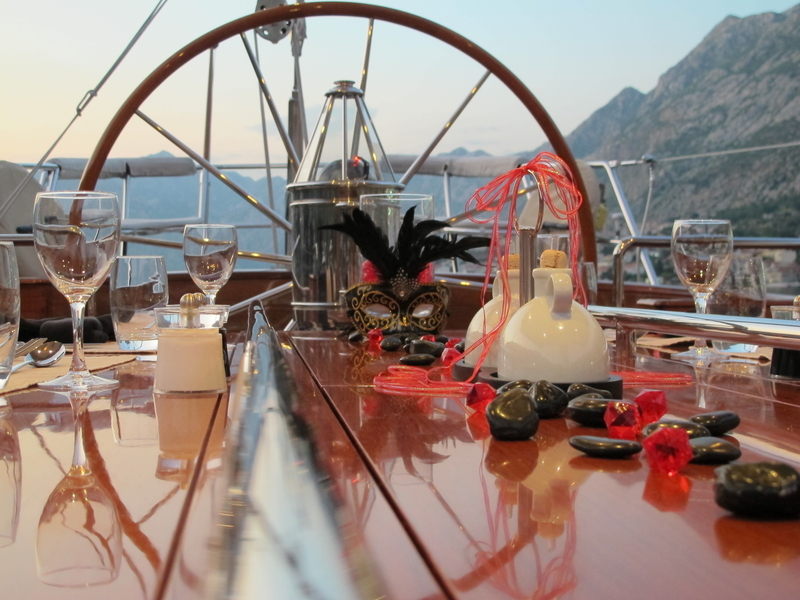 Luxury sailing yacht THIS IS US provides yacht charter accommodation for up to 8 guests in the following layout: An owners’ stateroom with double bed, a VIP double suite, two twin guest cabins (1 with Pullman bunk bed). 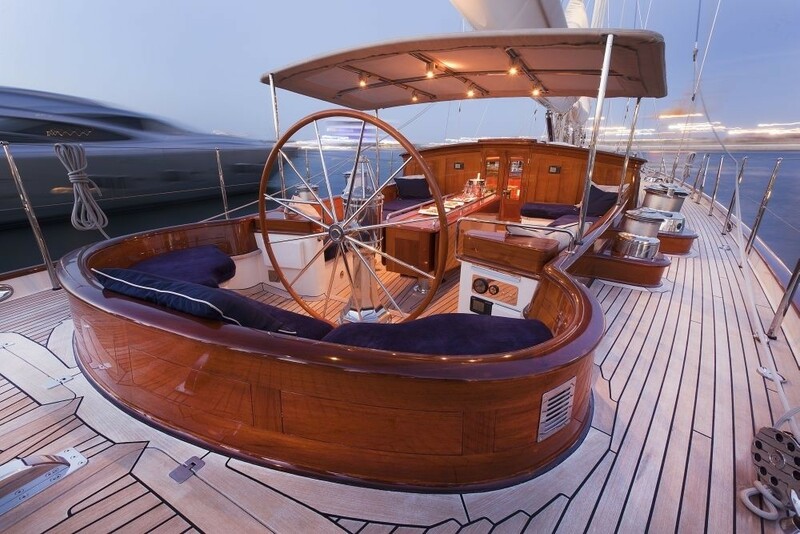 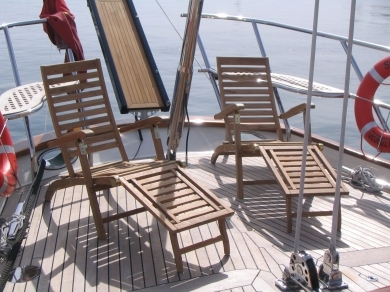 Sailing schooner THIS IS US provides the following yacht charter amenities: Novurania 430 DL tender with a 50 hp Yamaha, a Zodiac 340 fastroller 10 hp, 4 complete dive sets & compressor, Waterskis etc. 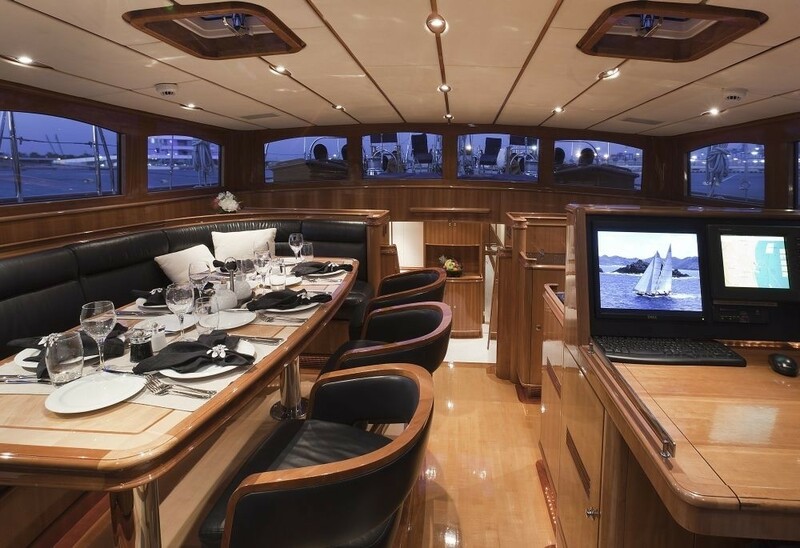 Audio Visual Equipment and Deck Facilities include a Linn eq. 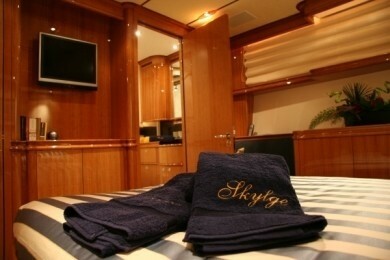 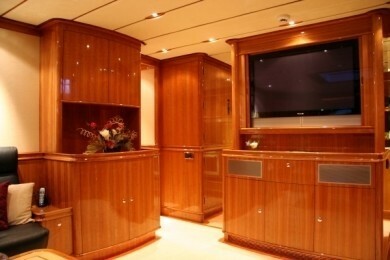 in the salon with remotes for the cockpit and sunbathing area in front of deckhouse, pioneer flat screens-dvd in all cabins (42 inch in salon,20 inch owner, the rest 15 inch).